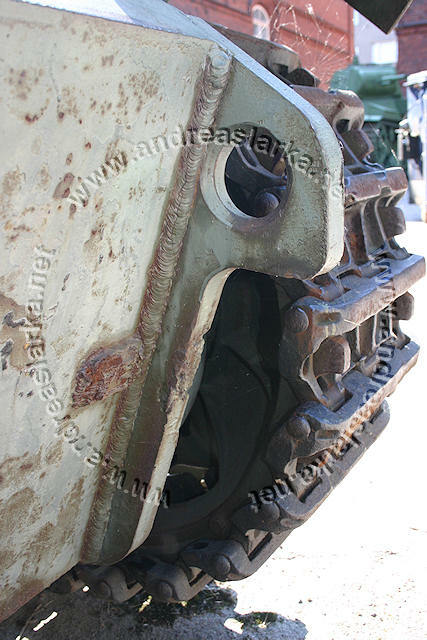 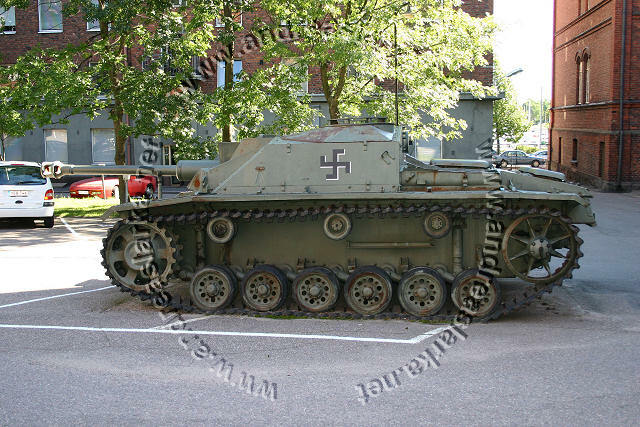 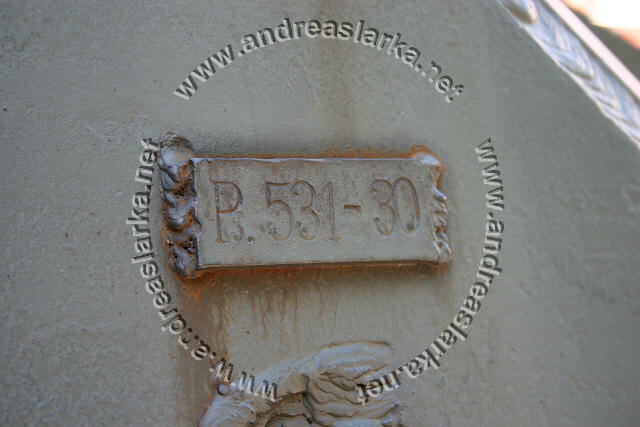 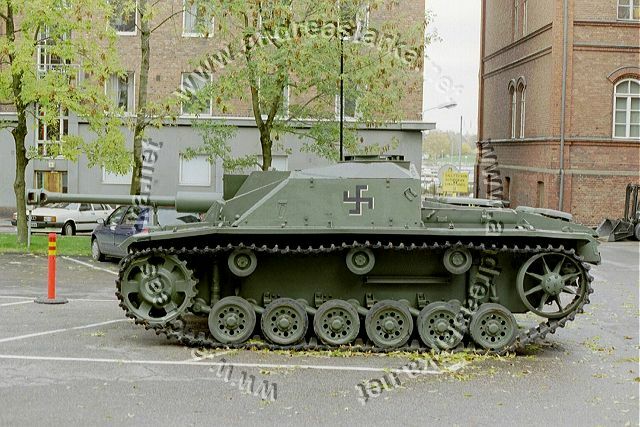 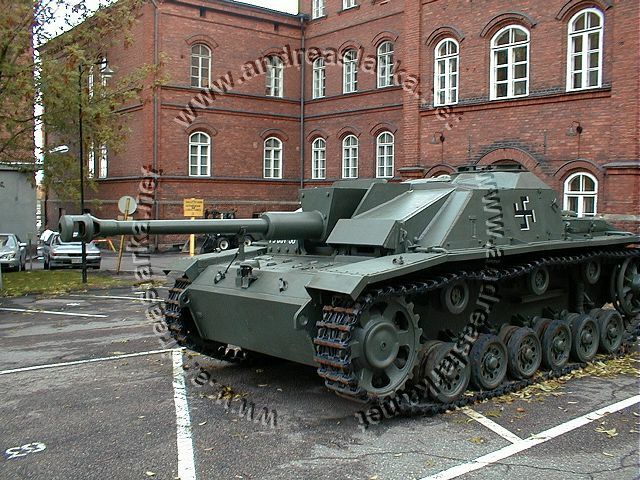 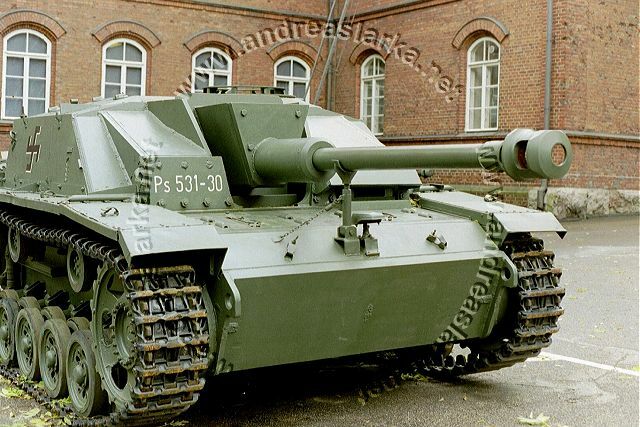 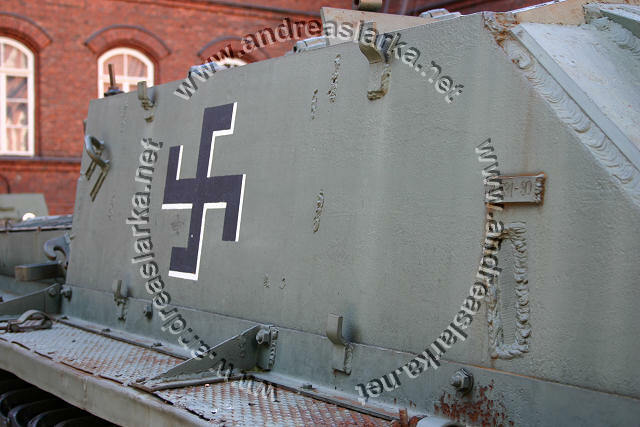 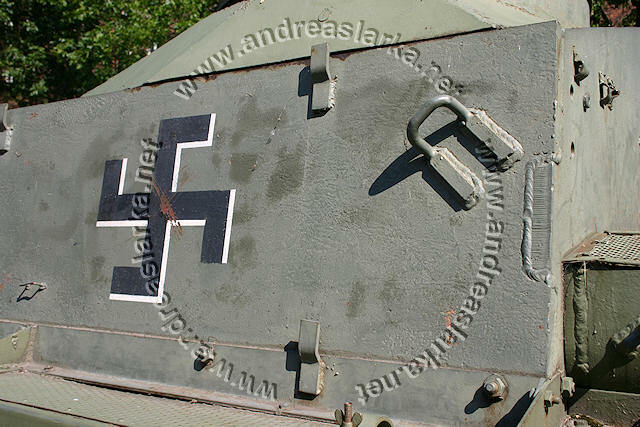 This tank is the very last of the 1943 batch of StuG's that arrived to Finland. 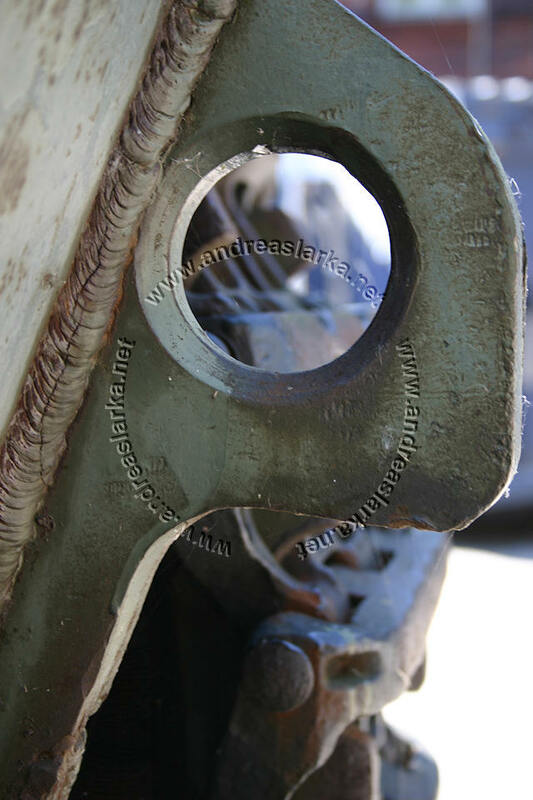 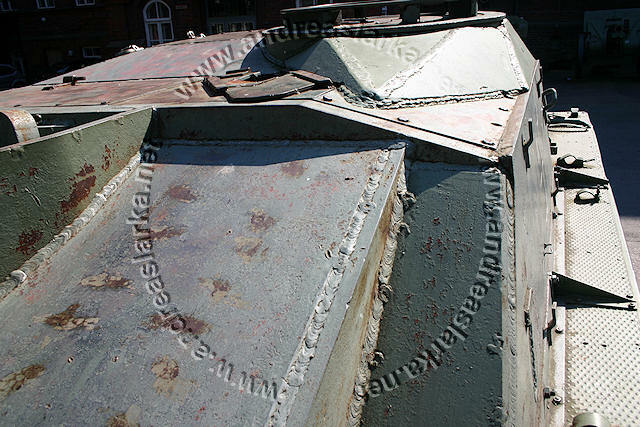 The tank is a production mish-mash with a late interlocked-welded substructure and an earlier "straight-welded" superstructure. 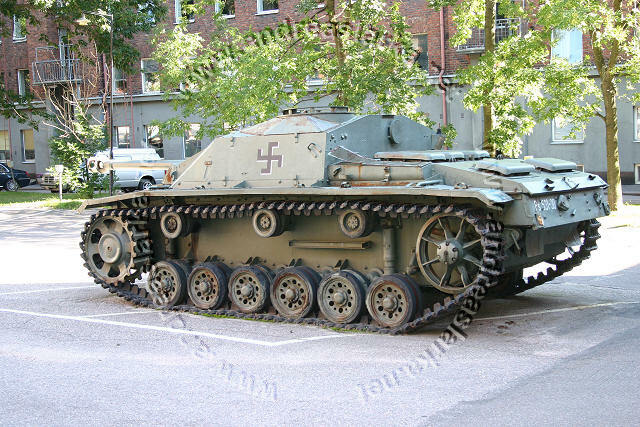 The vehicle was produced in the fall of 1943. 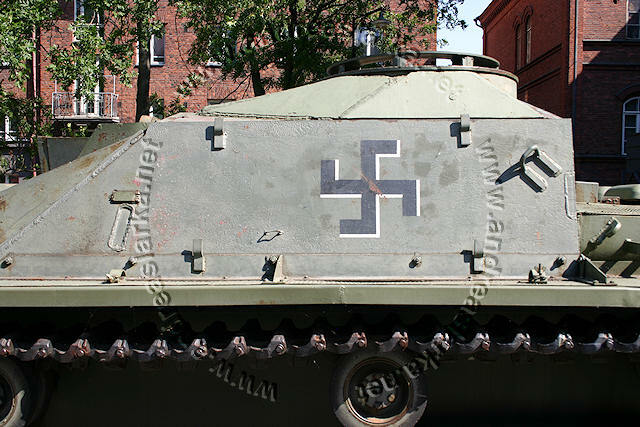 During the war this vehicle served as a training vehicle. 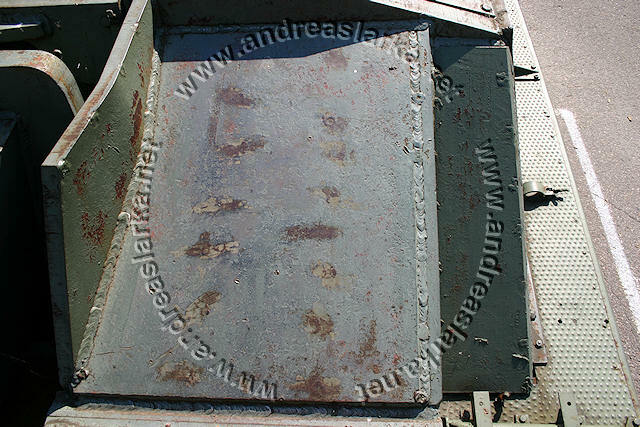 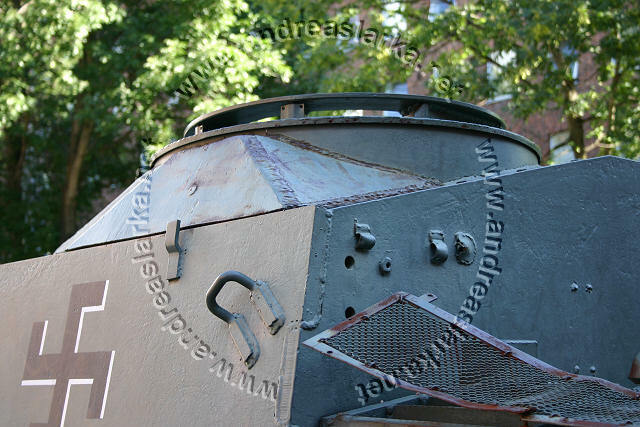 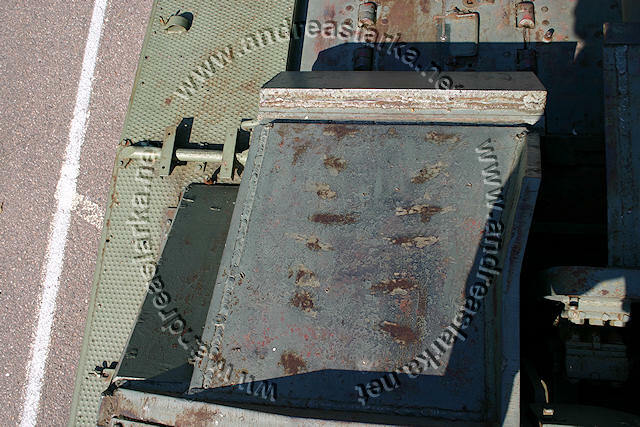 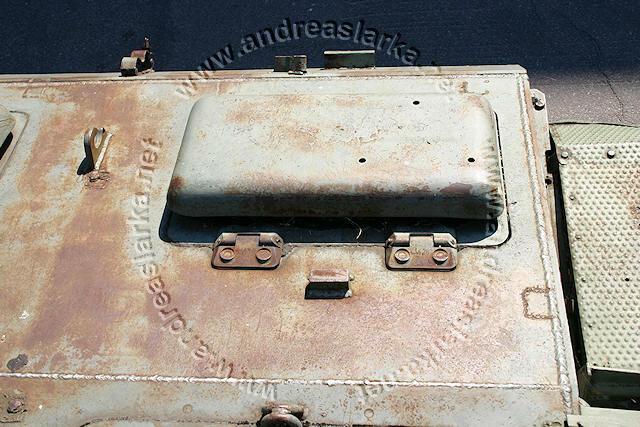 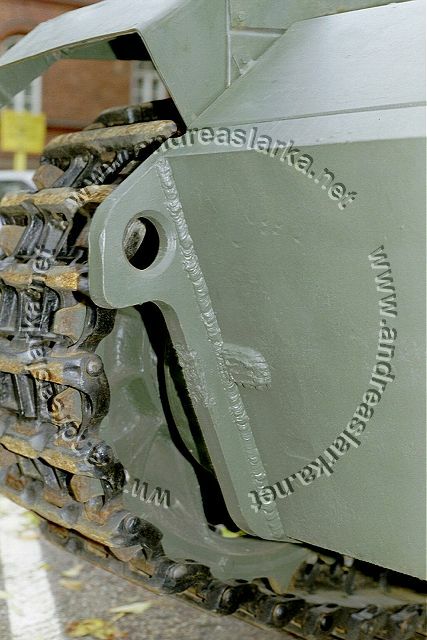 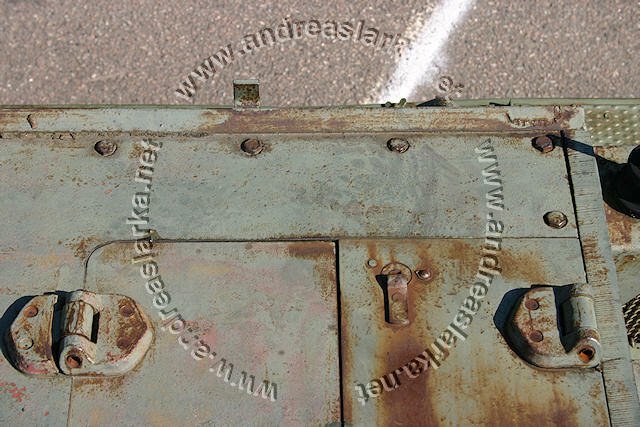 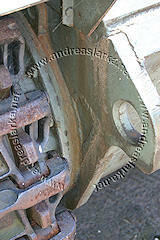 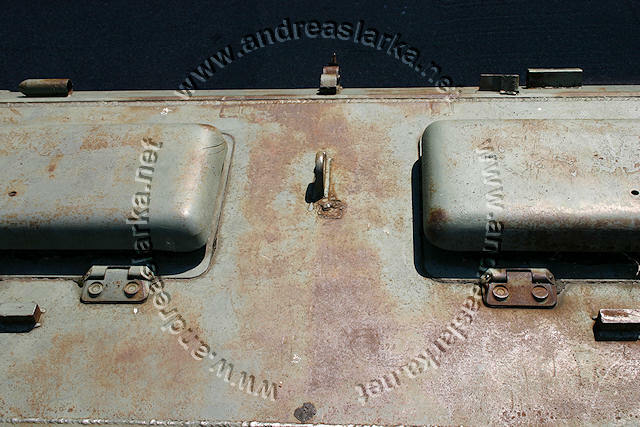 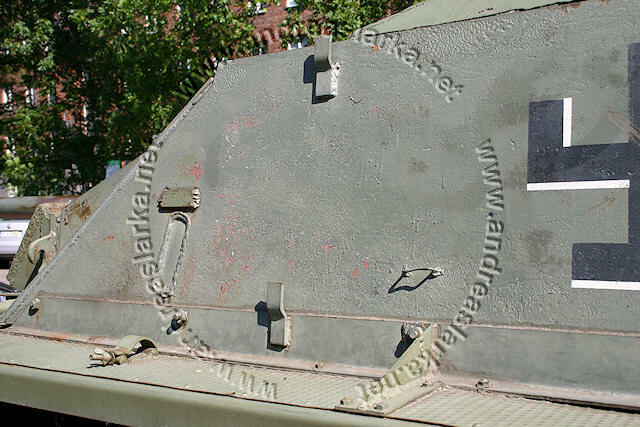 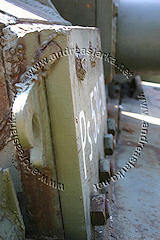 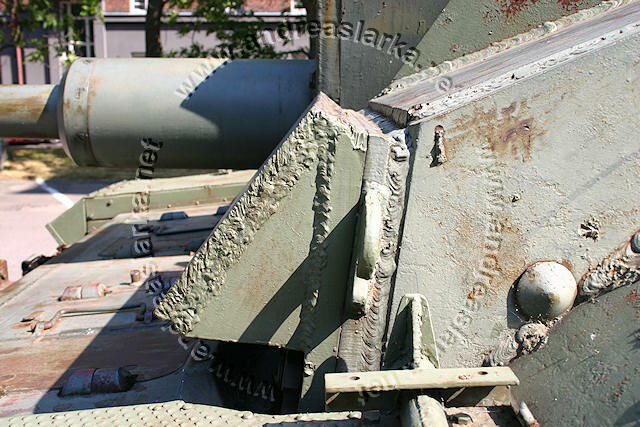 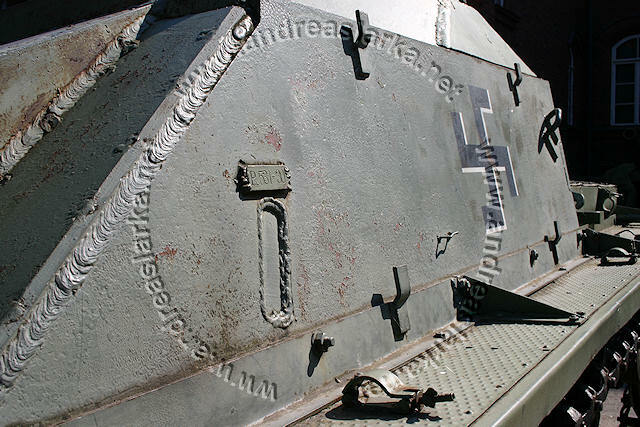 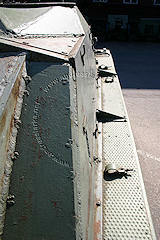 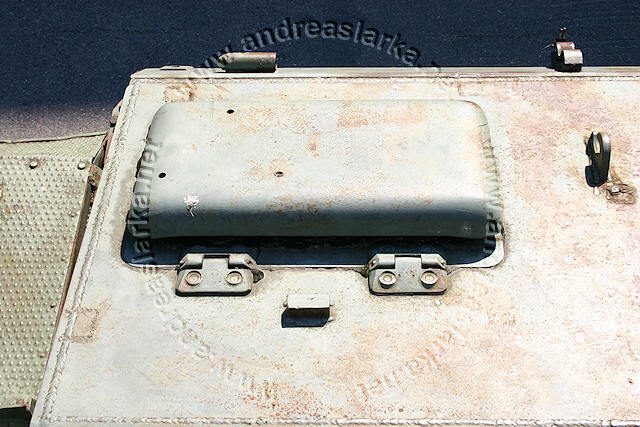 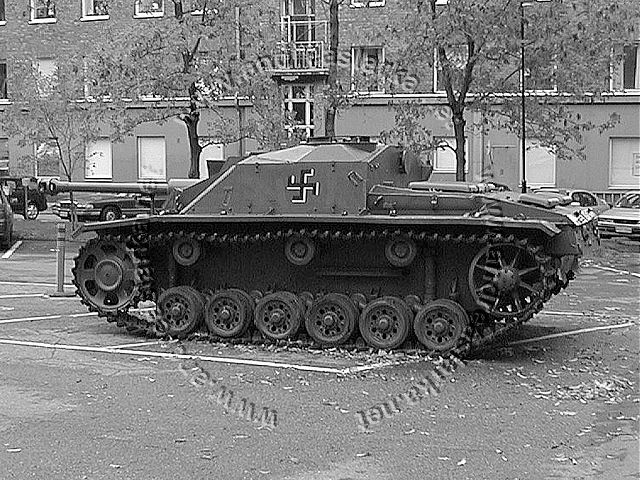 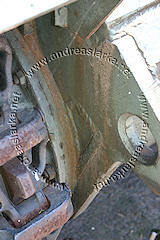 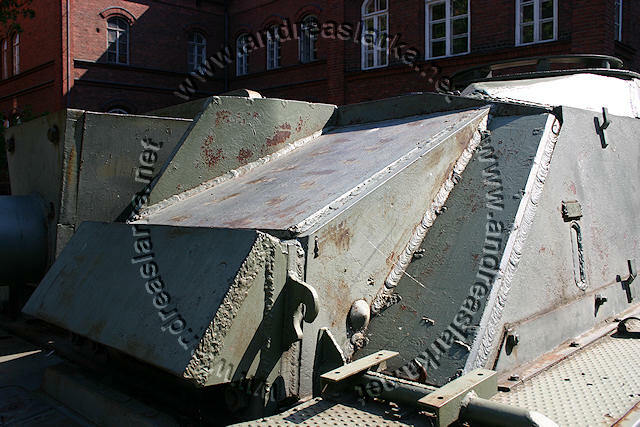 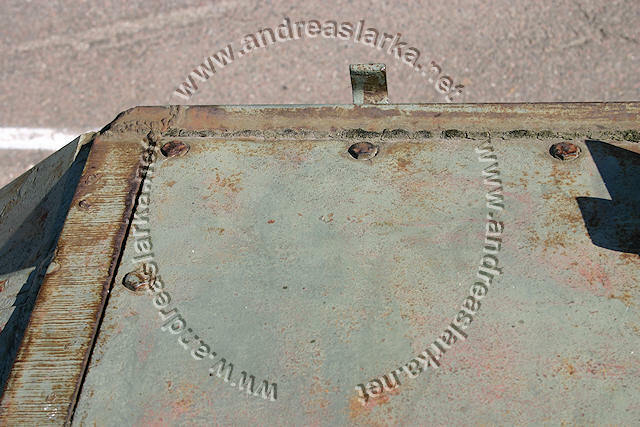 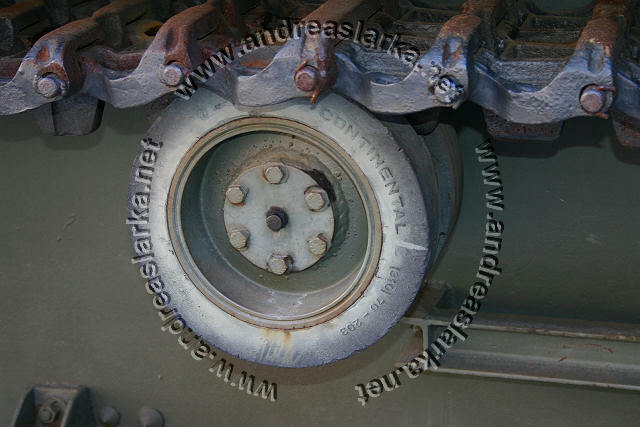 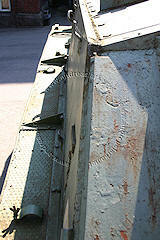 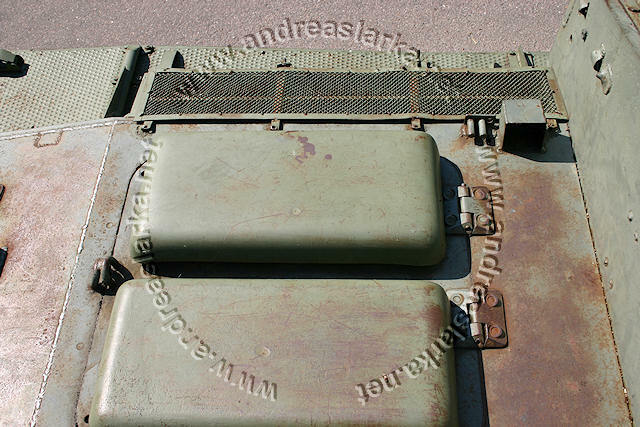 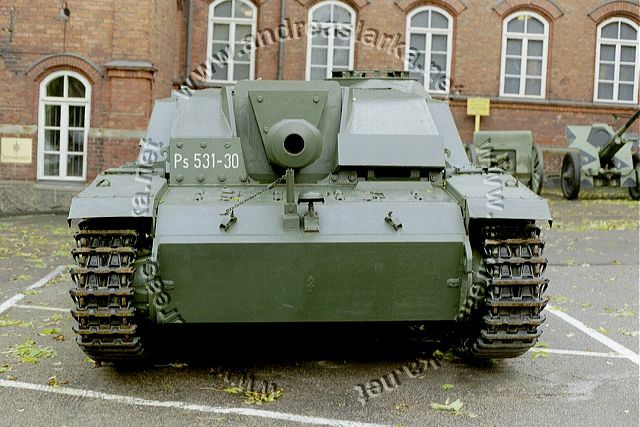 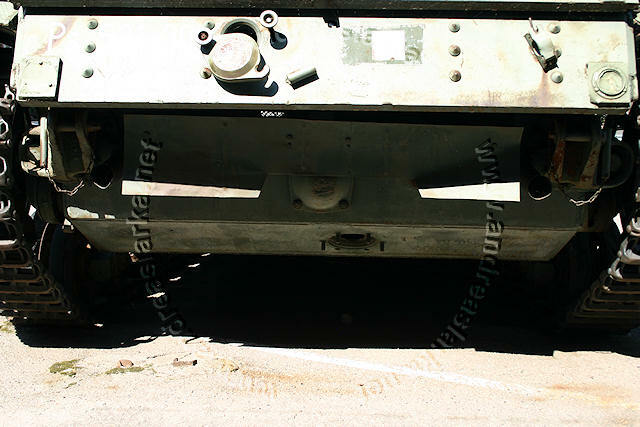 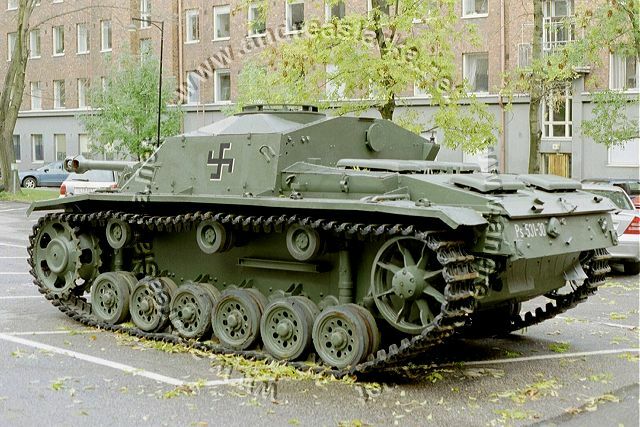 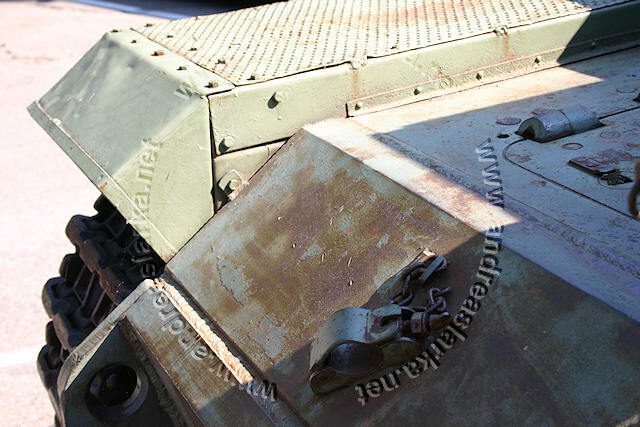 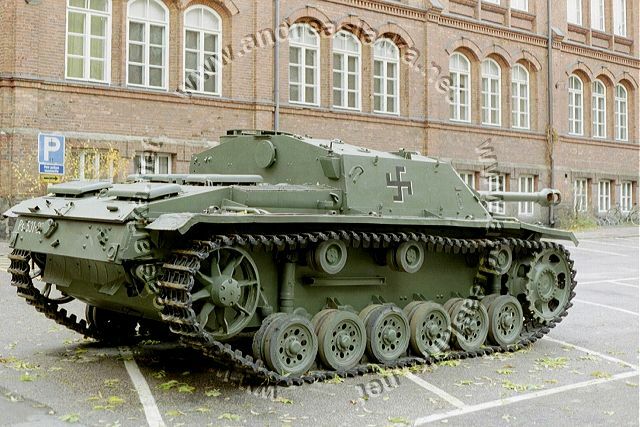 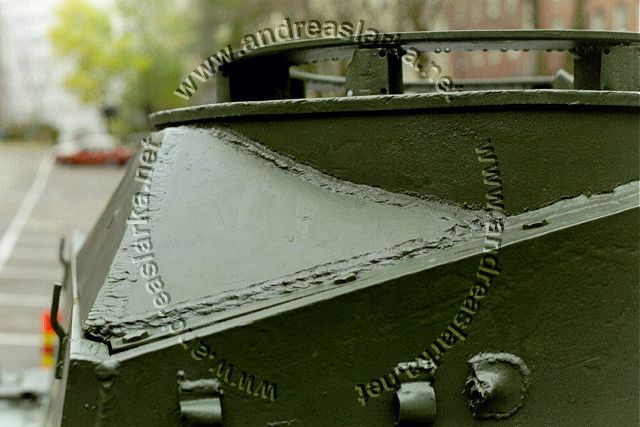 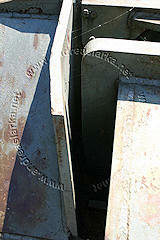 It did not have it's spare wheels moved to the sides of the fighting compartments as Finnish Sturmis typically have. 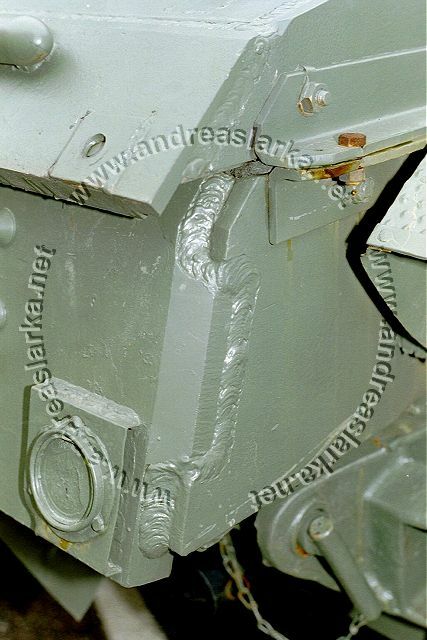 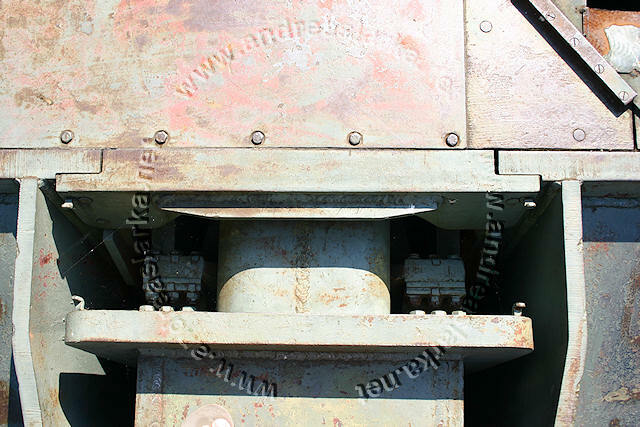 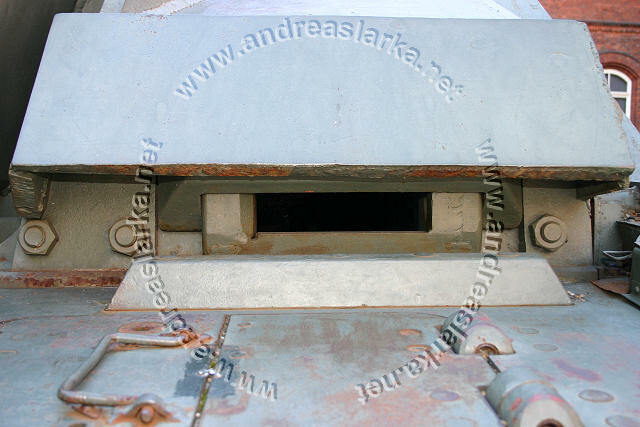 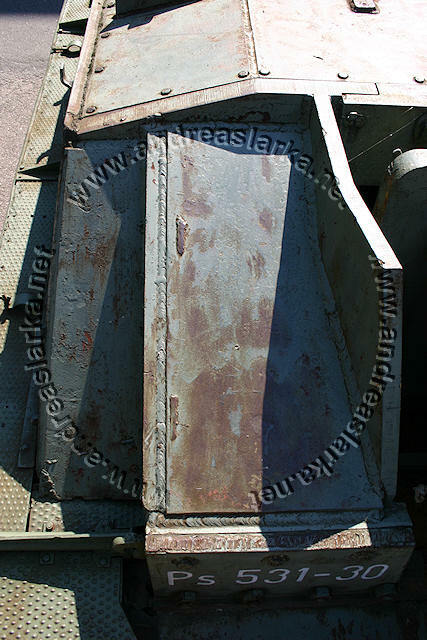 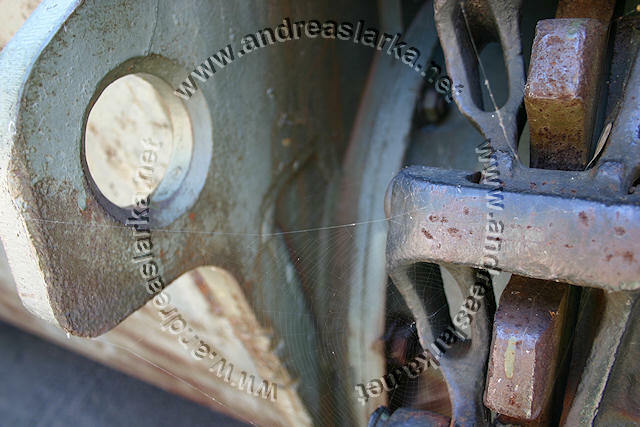 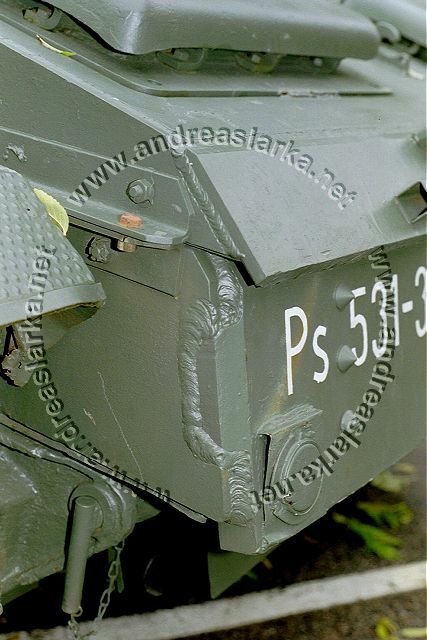 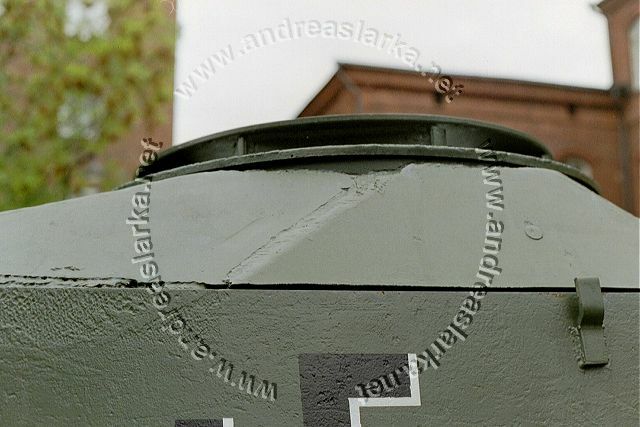 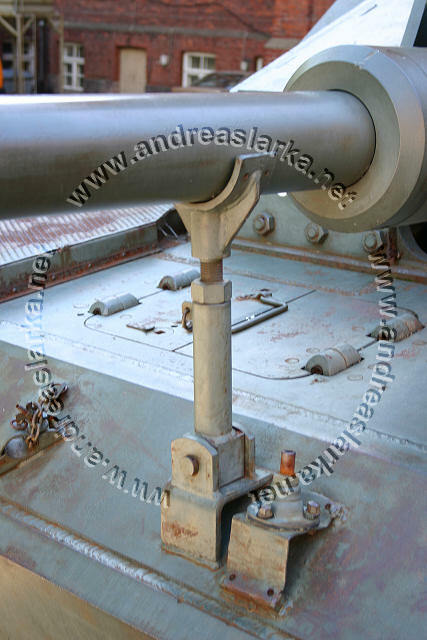 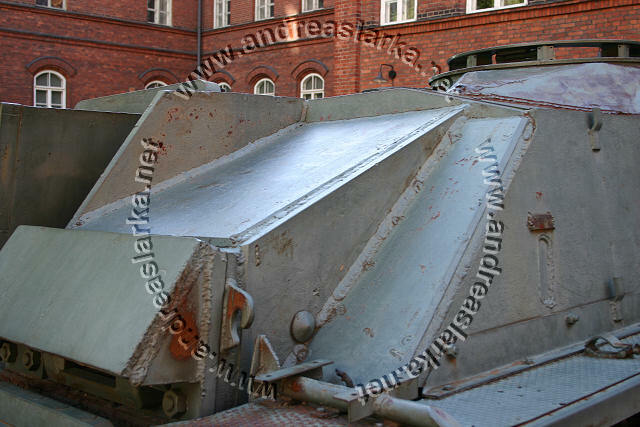 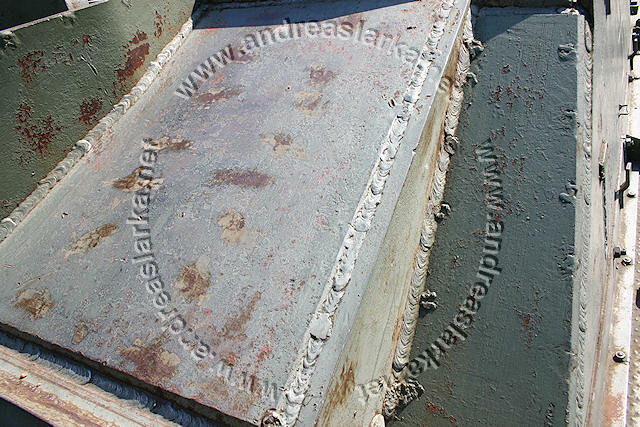 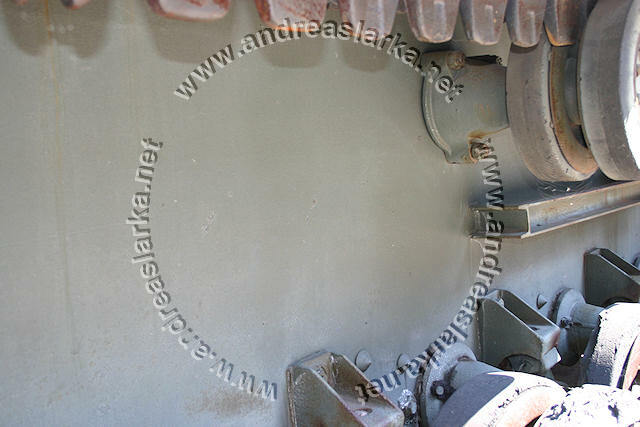 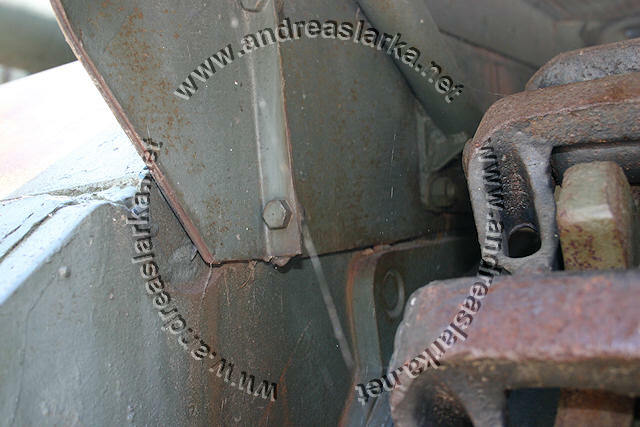 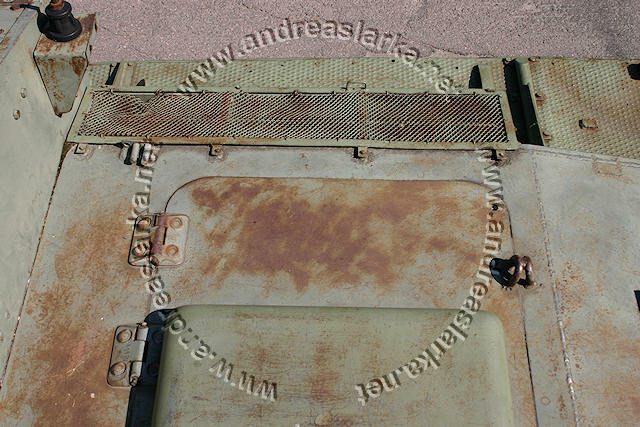 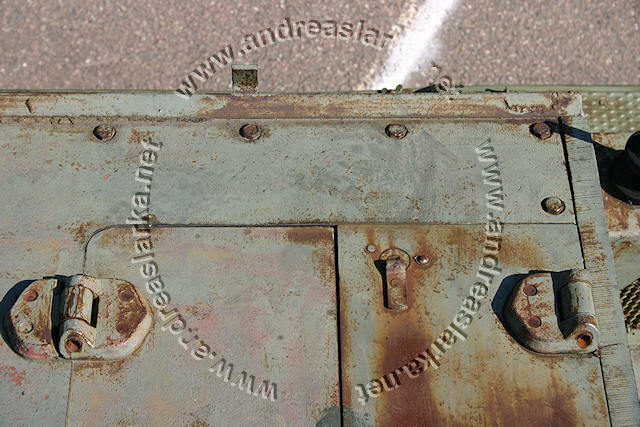 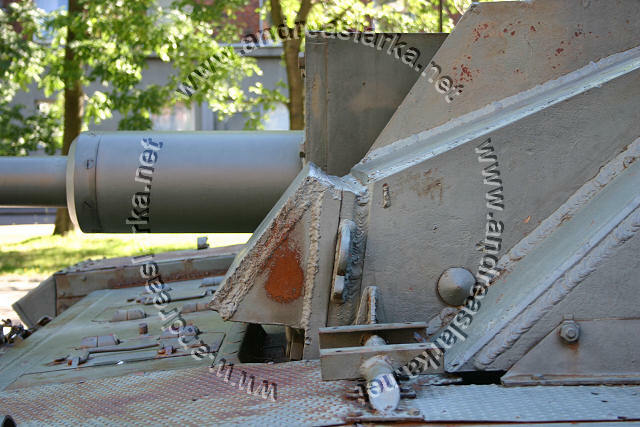 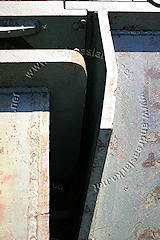 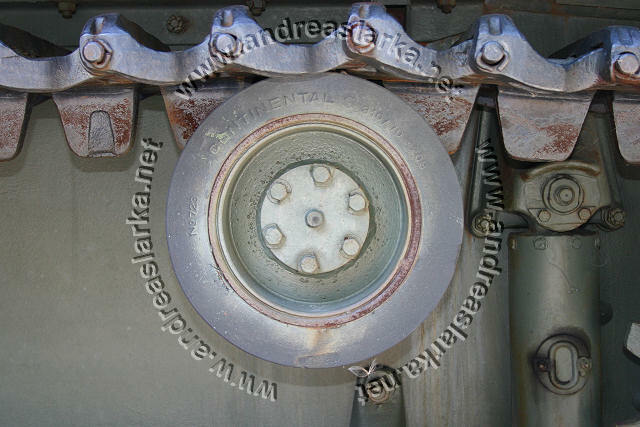 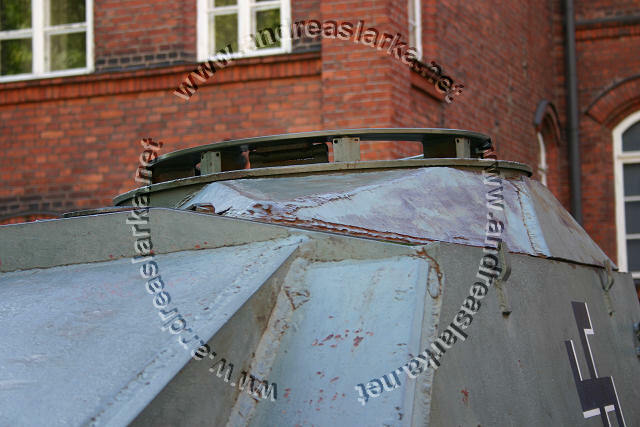 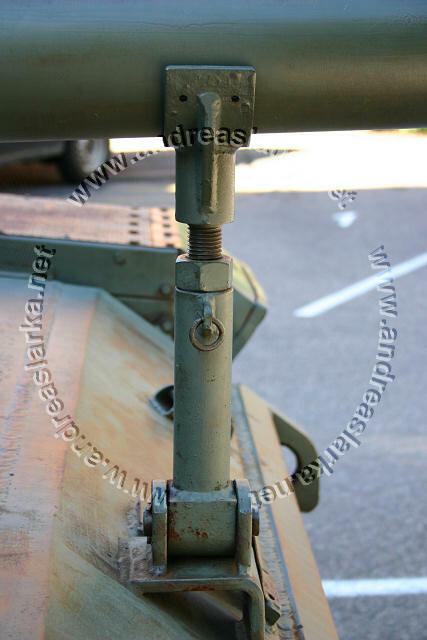 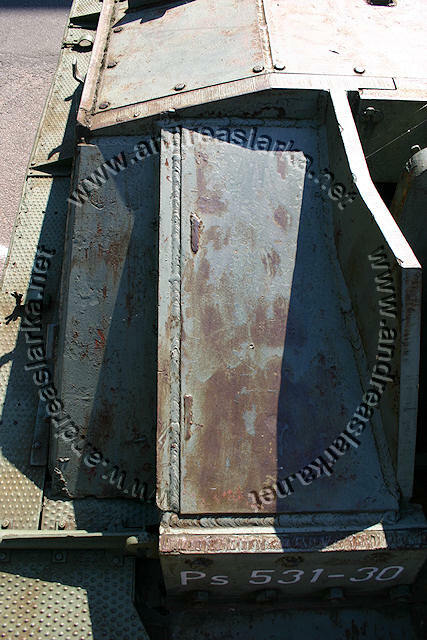 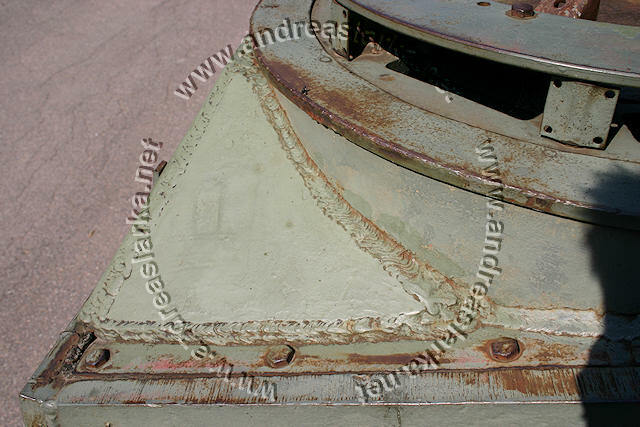 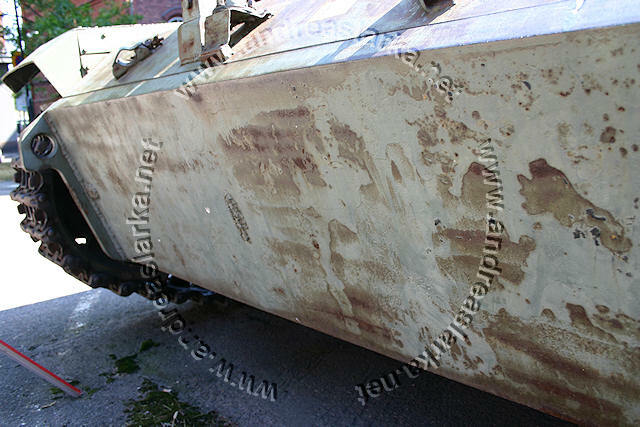 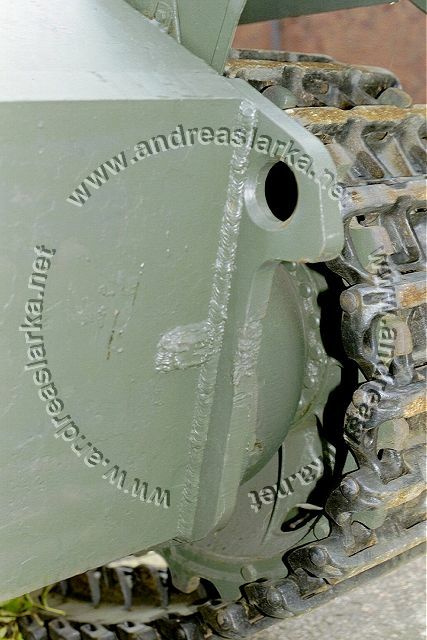 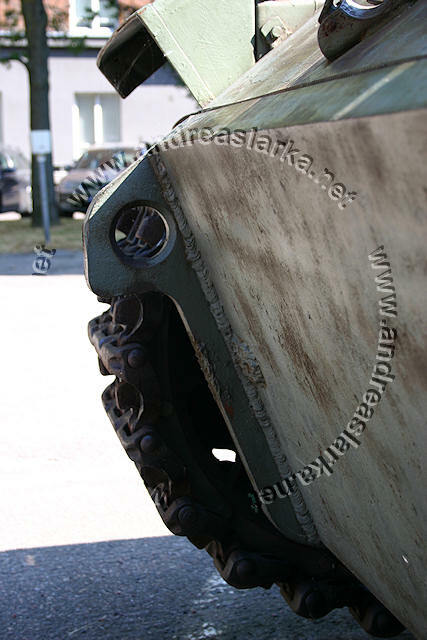 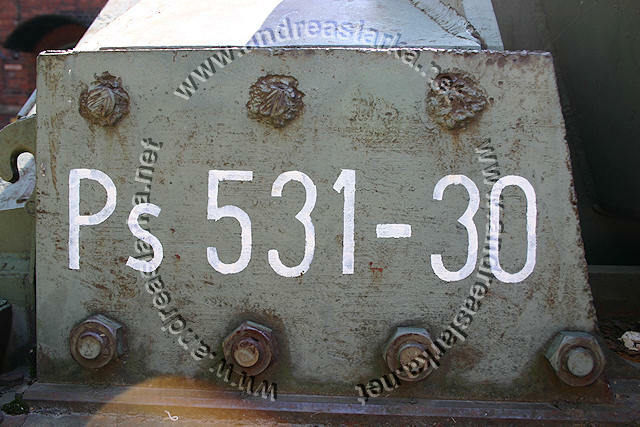 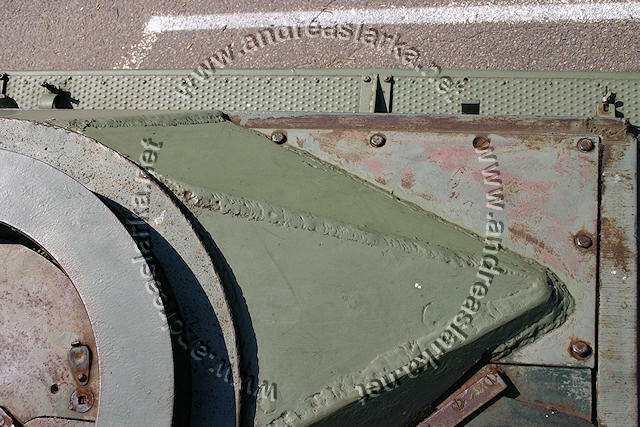 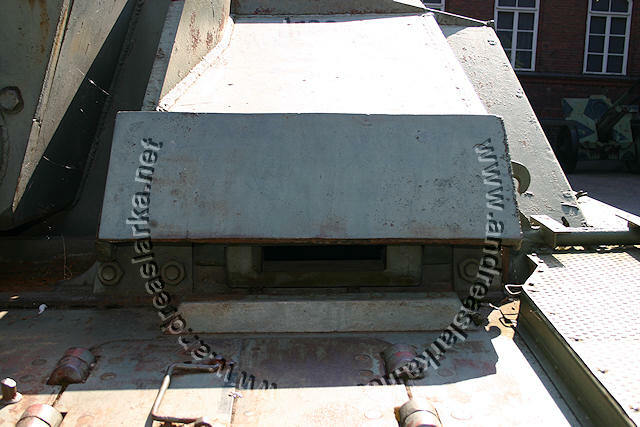 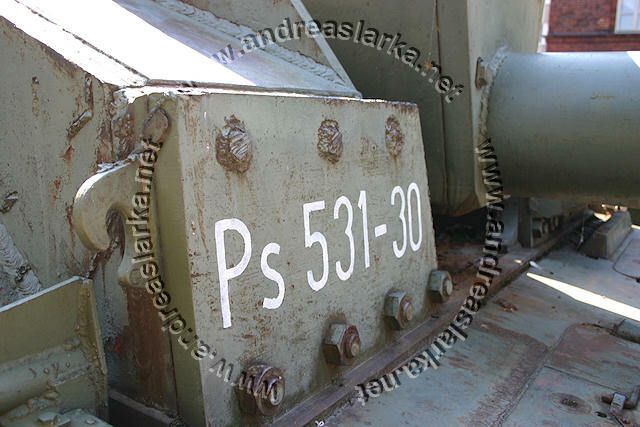 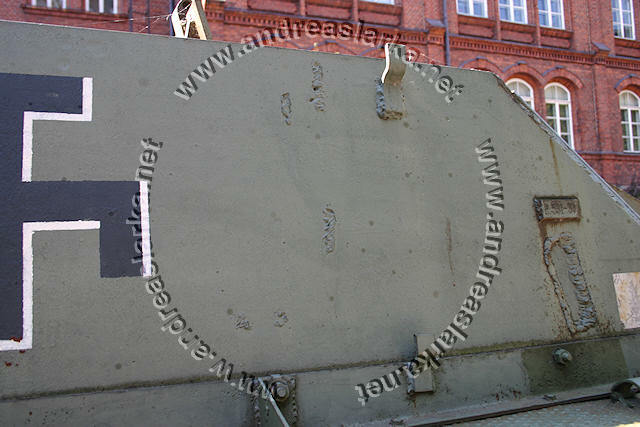 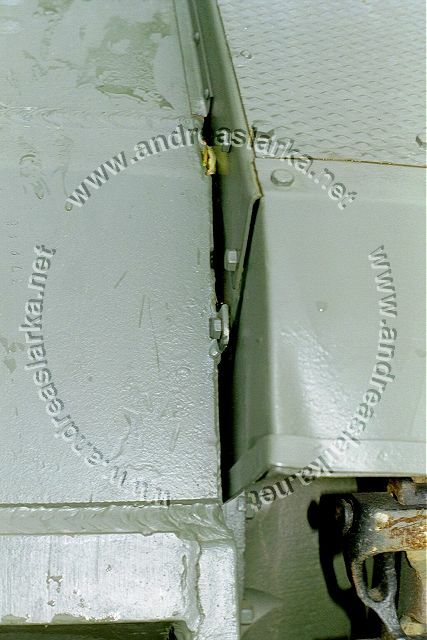 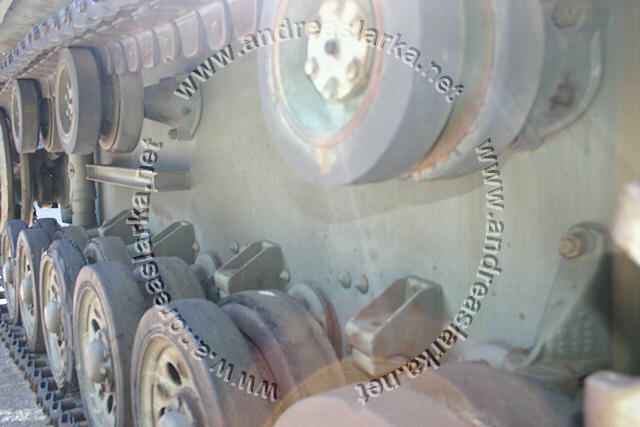 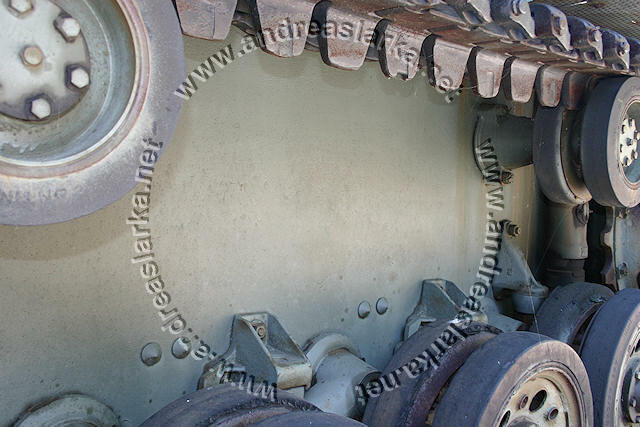 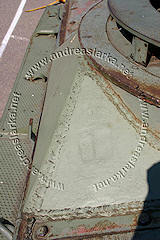 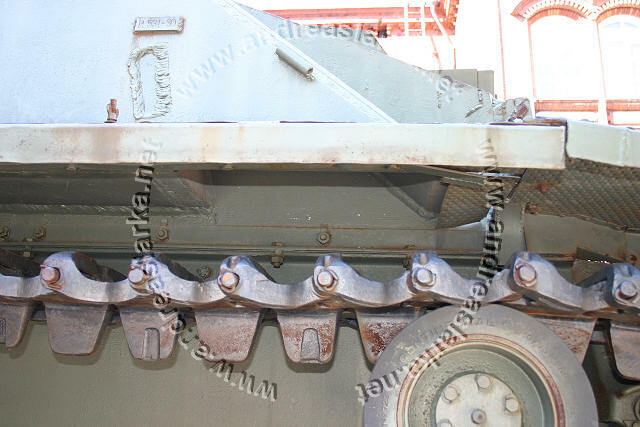 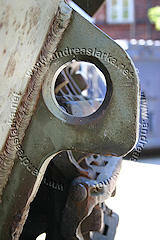 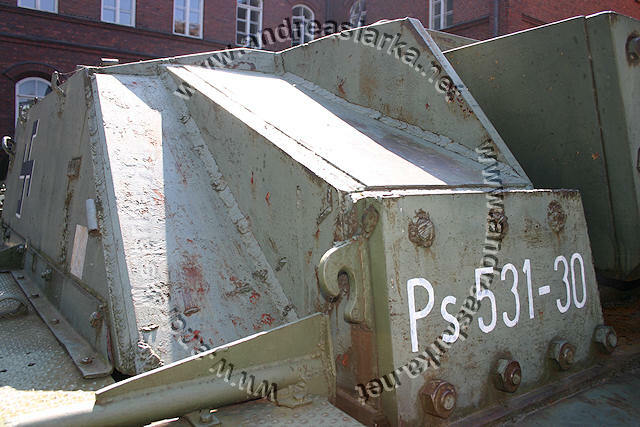 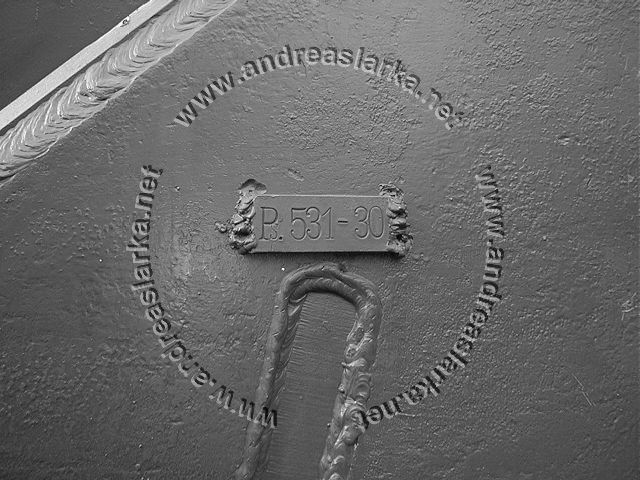 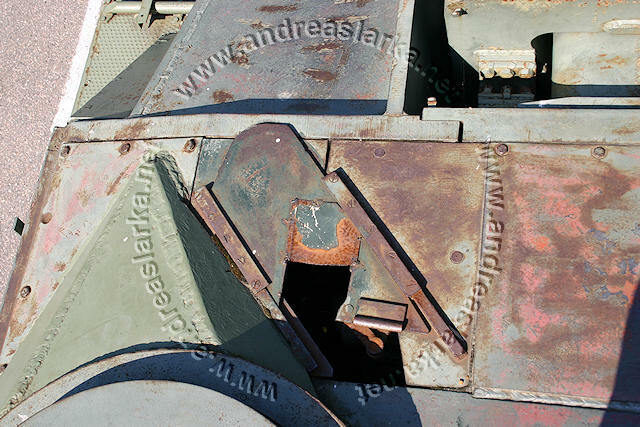 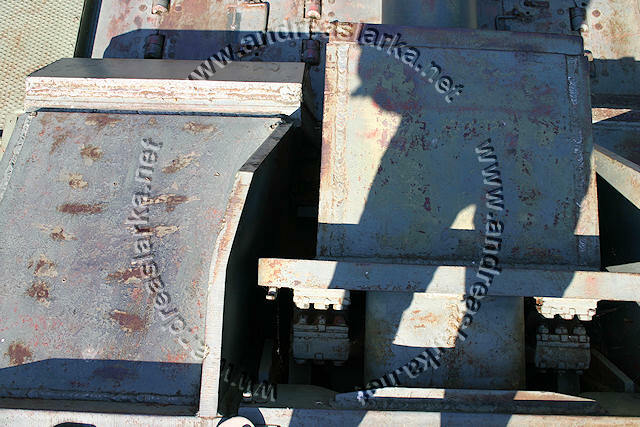 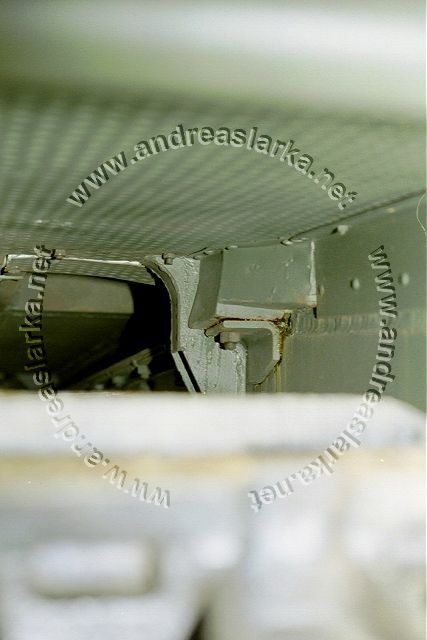 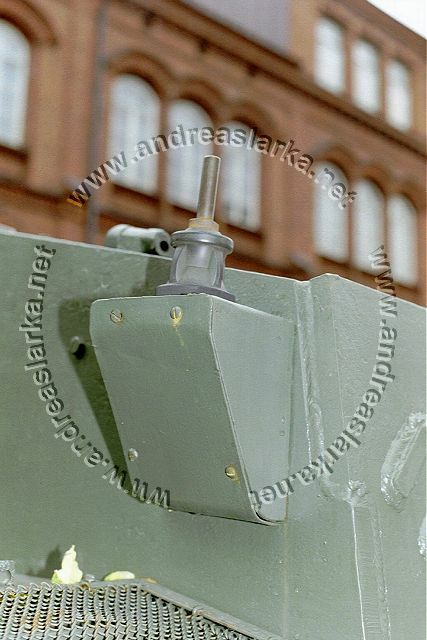 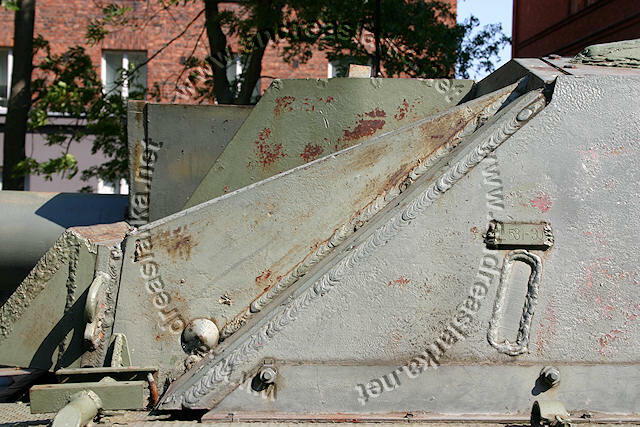 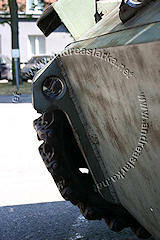 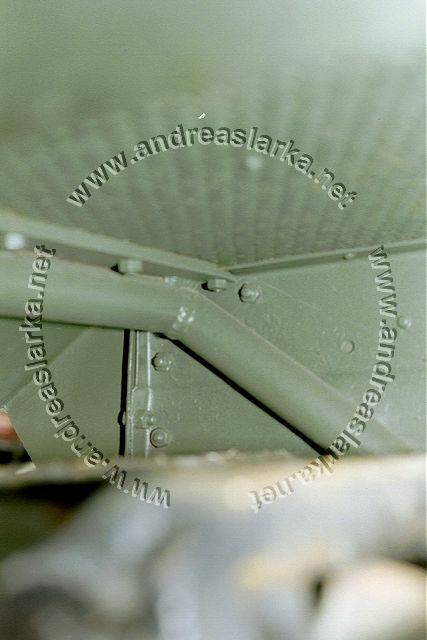 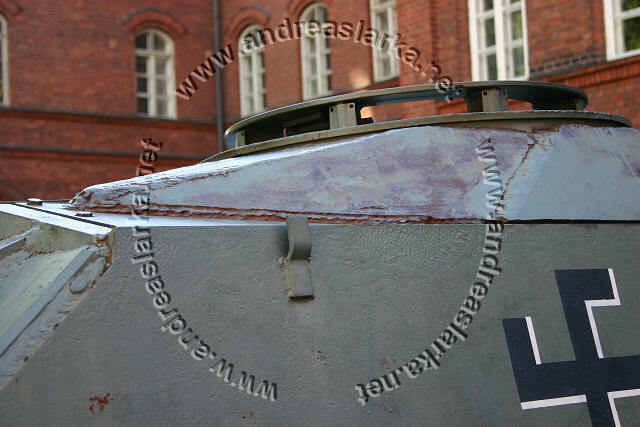 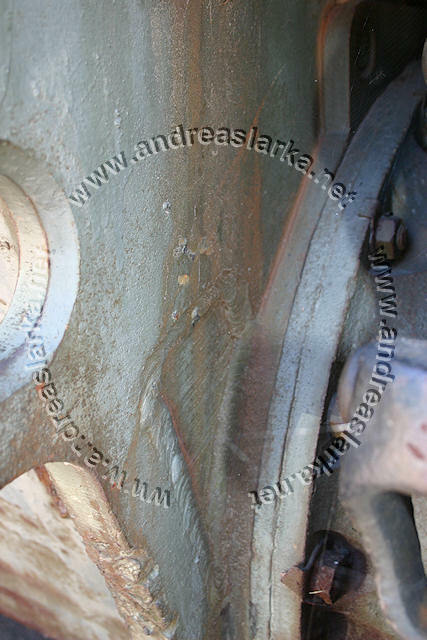 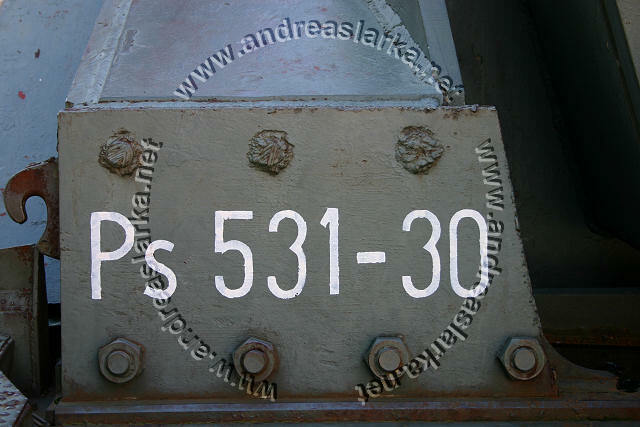 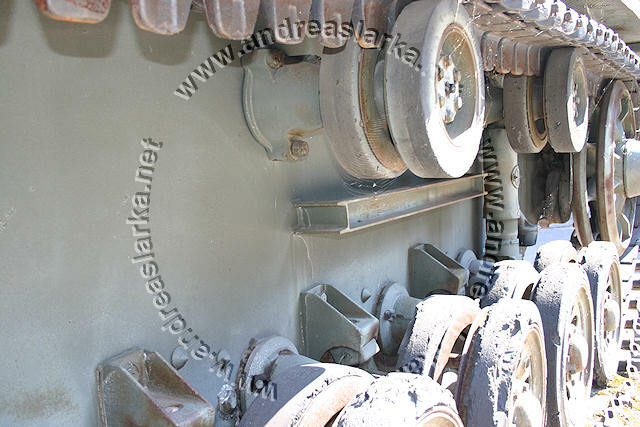 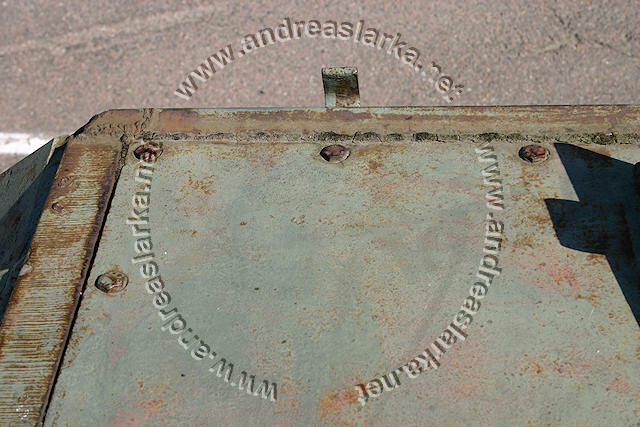 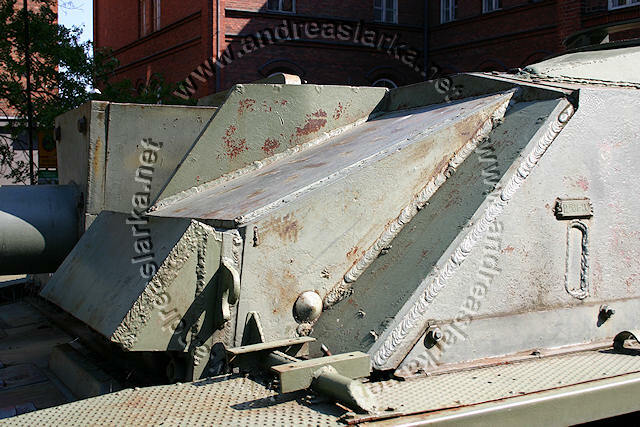 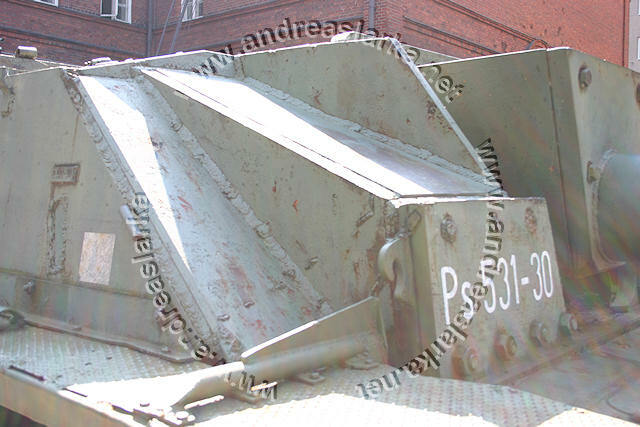 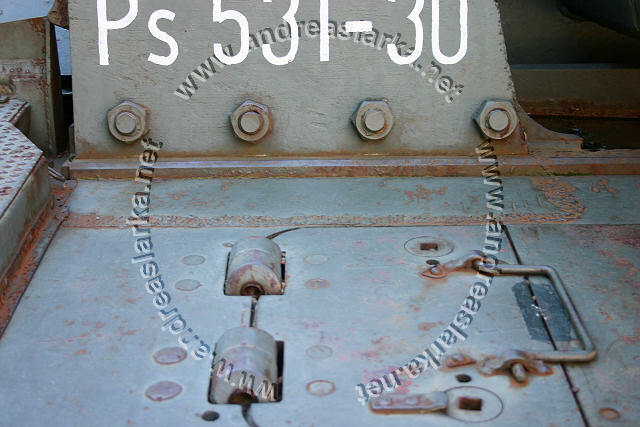 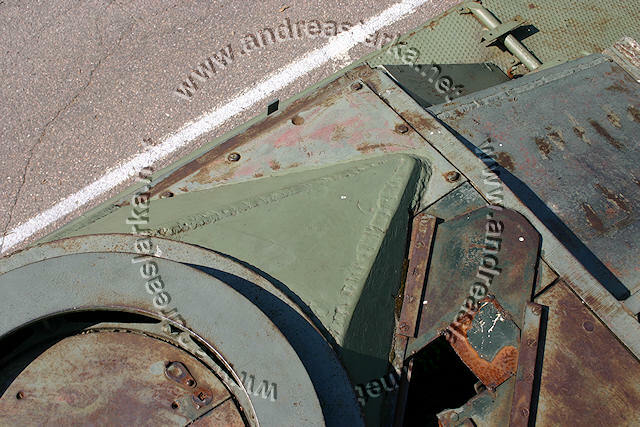 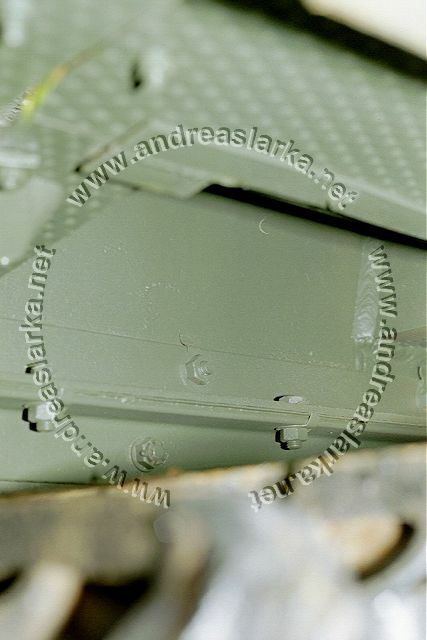 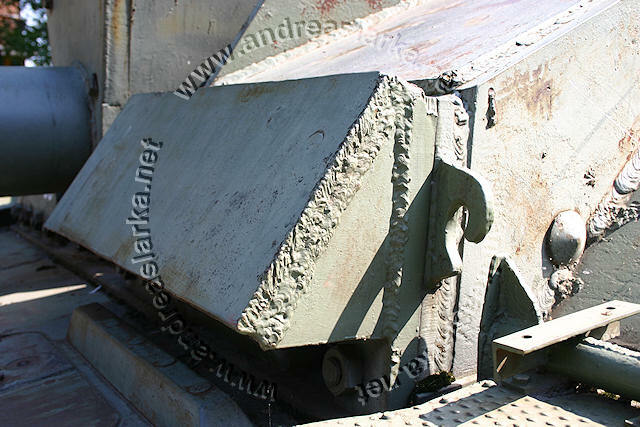 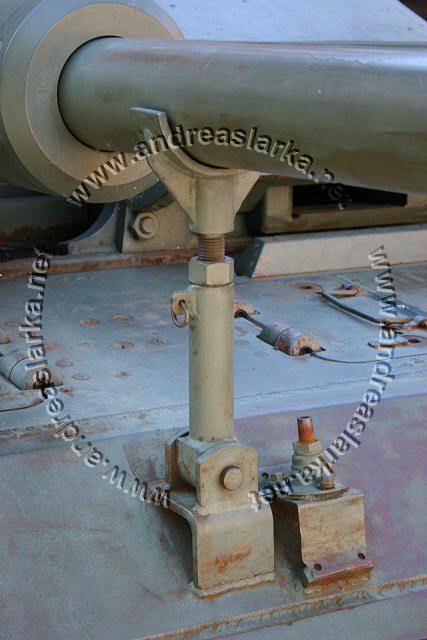 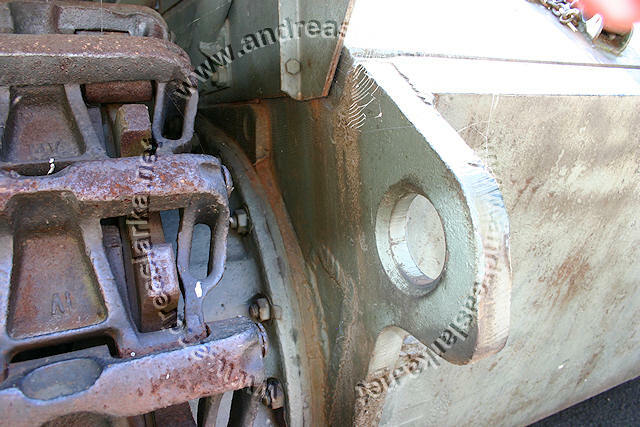 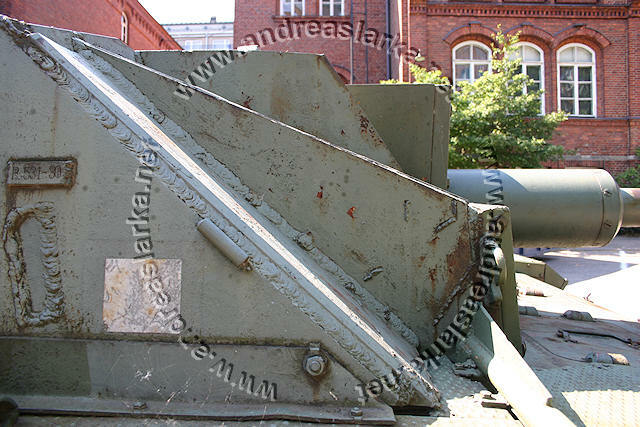 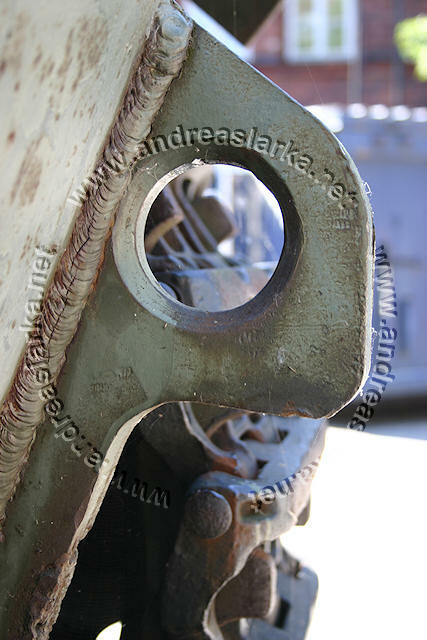 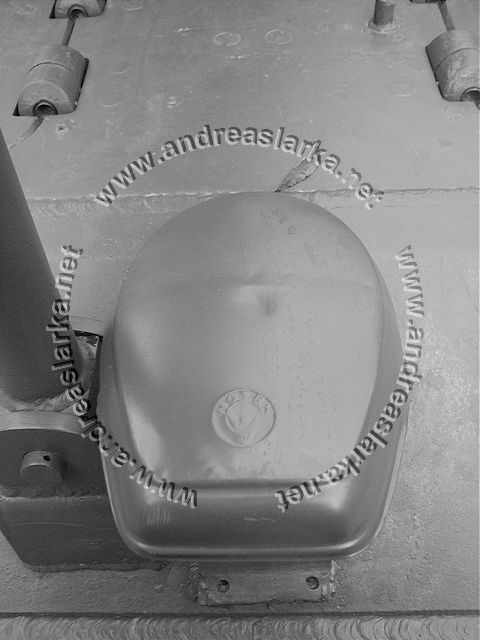 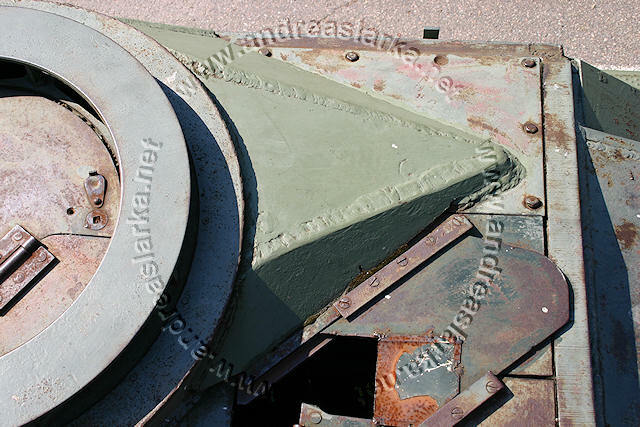 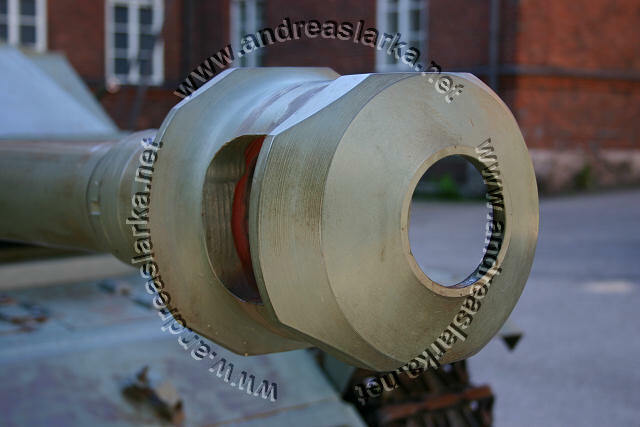 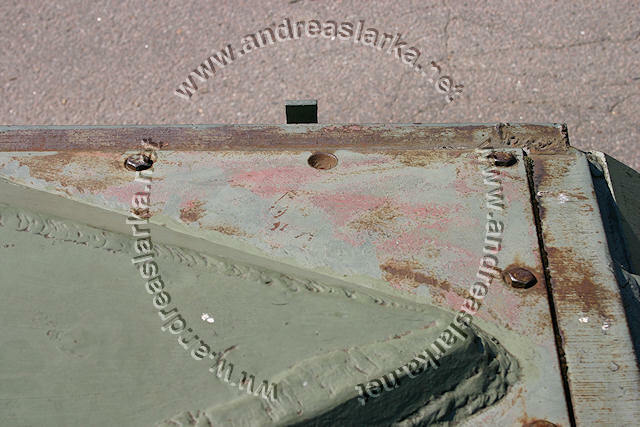 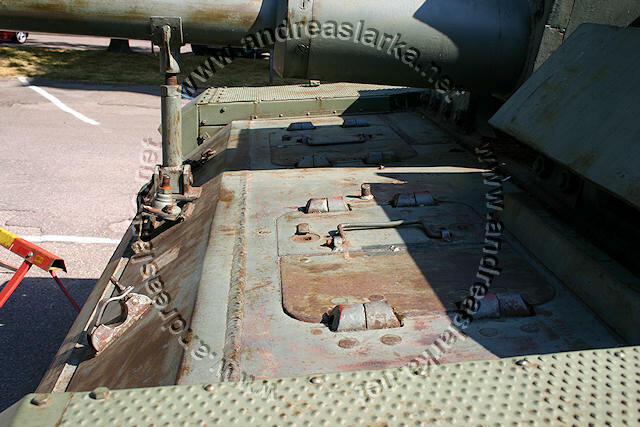 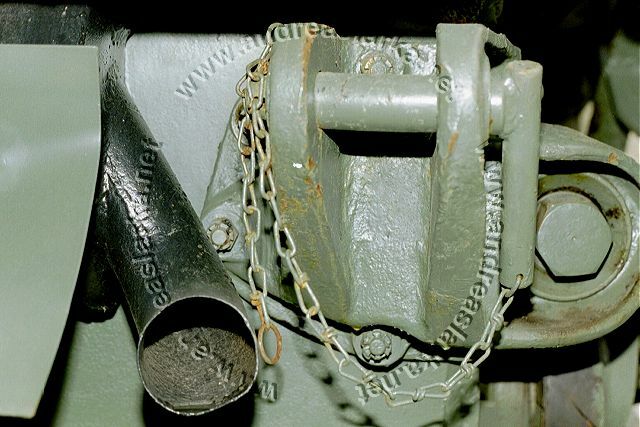 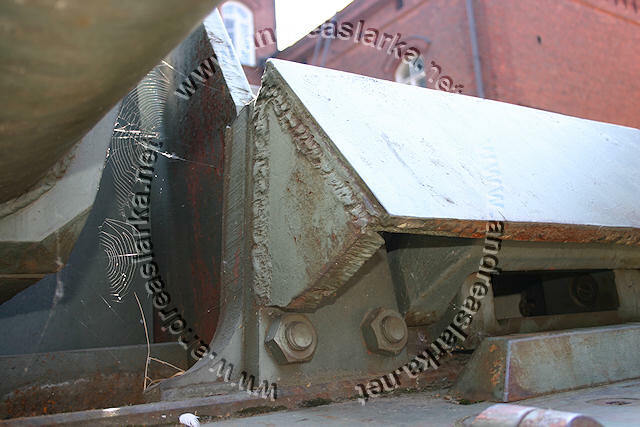 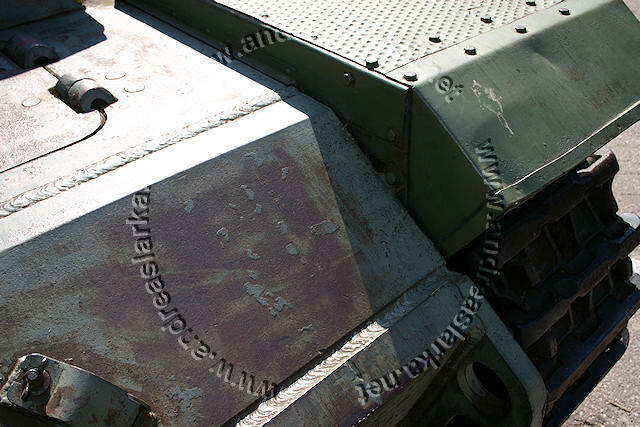 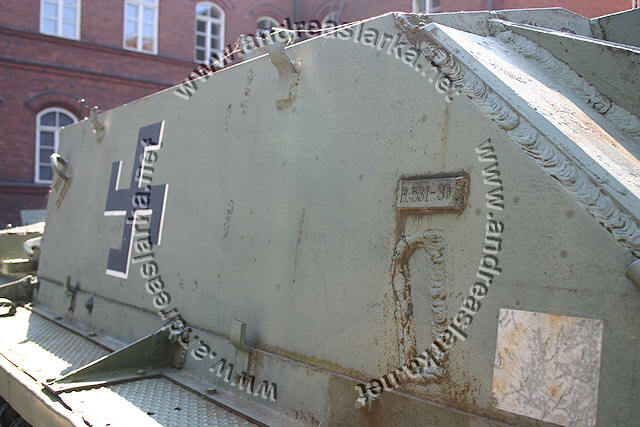 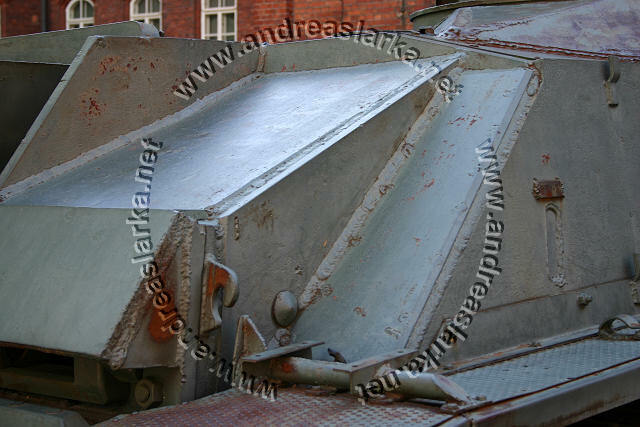 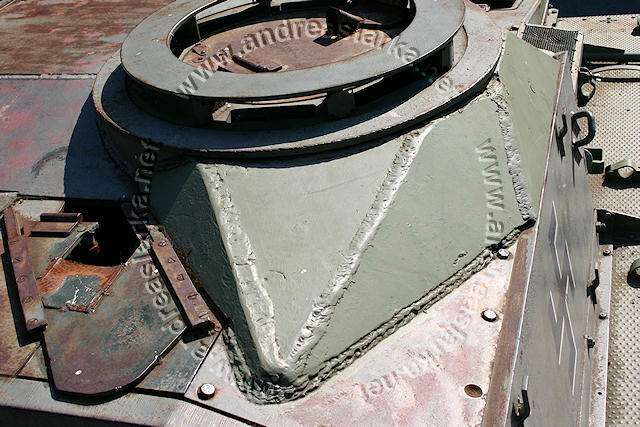 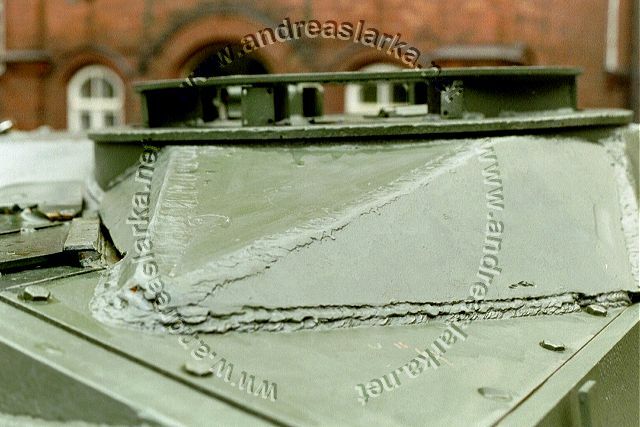 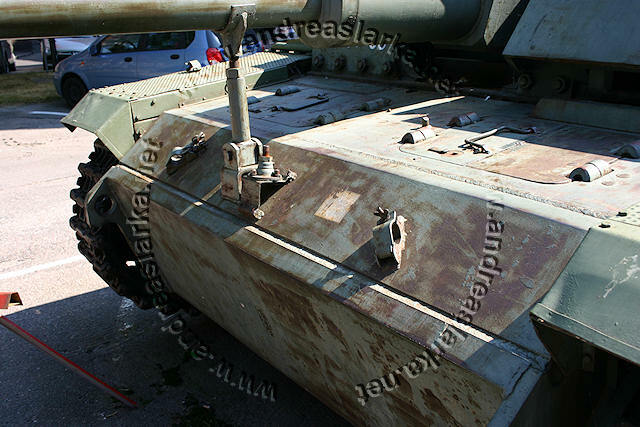 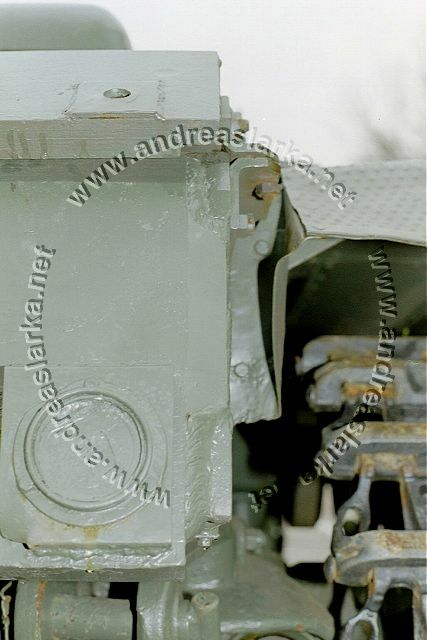 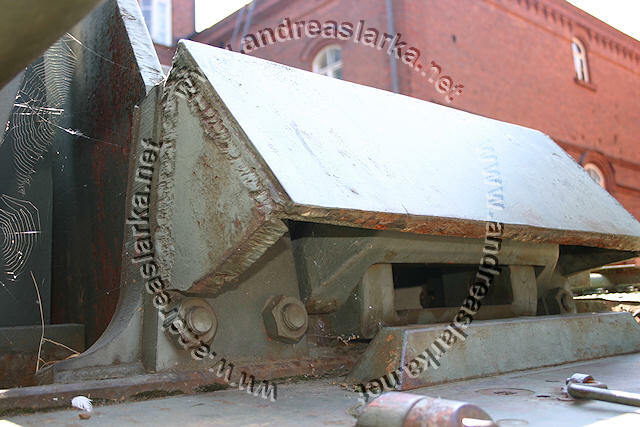 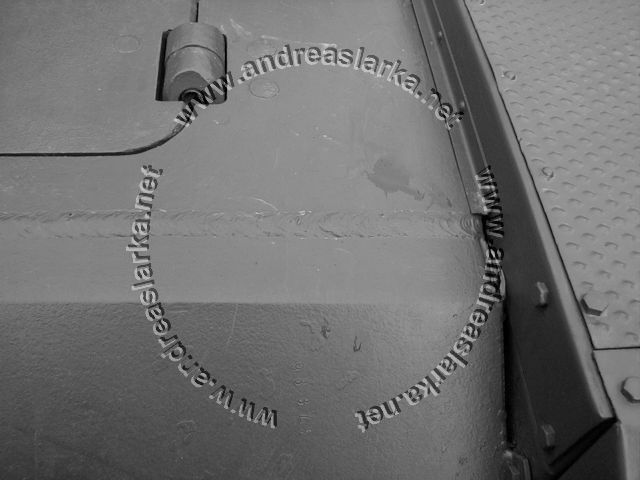 It sports the Finnish made deflector for the commander's cupola and remains of extra armour in front of the loader. 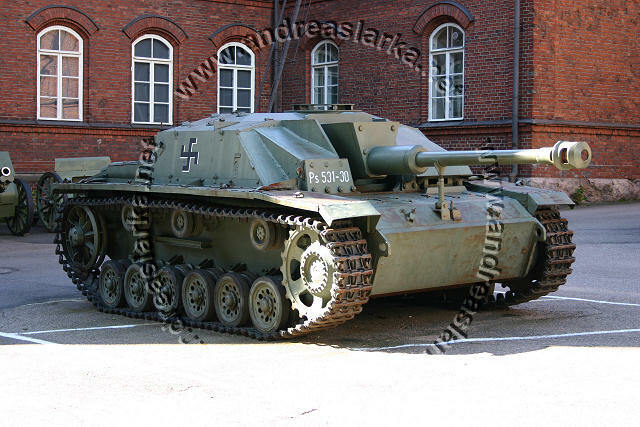 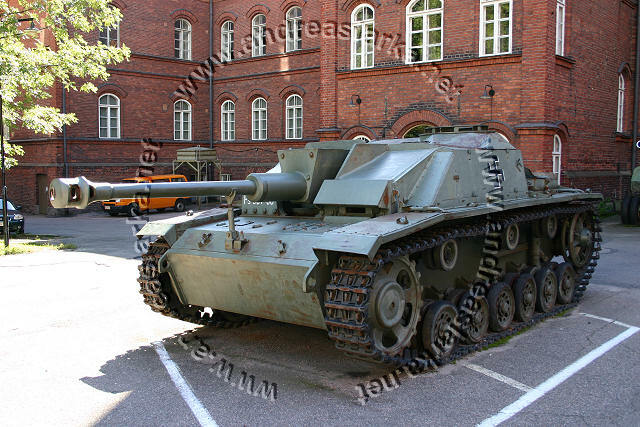 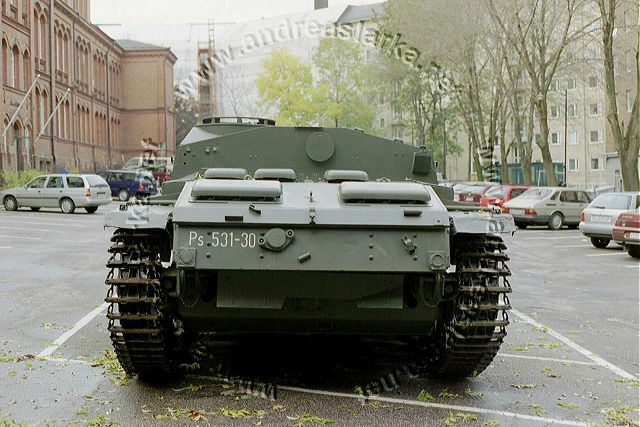 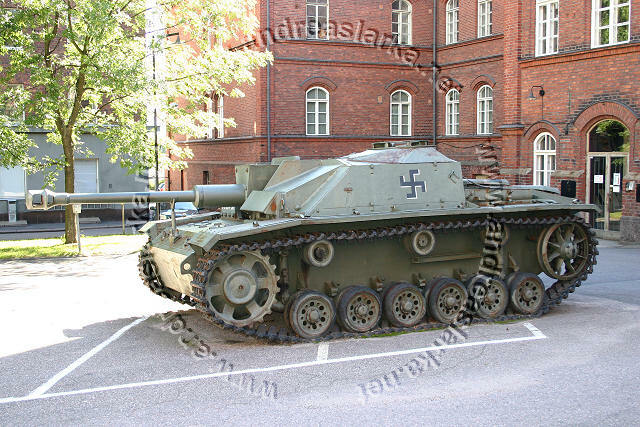 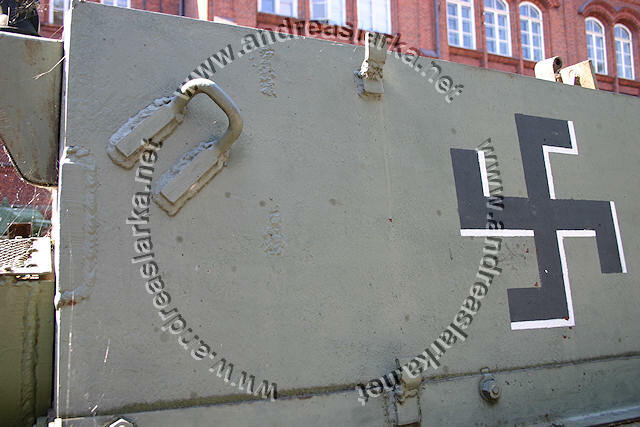 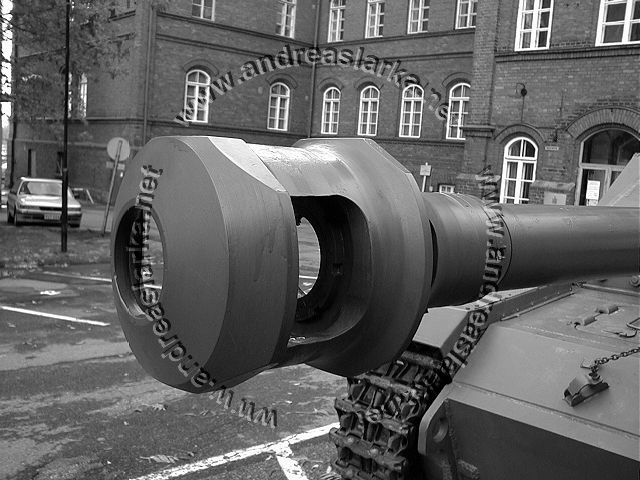 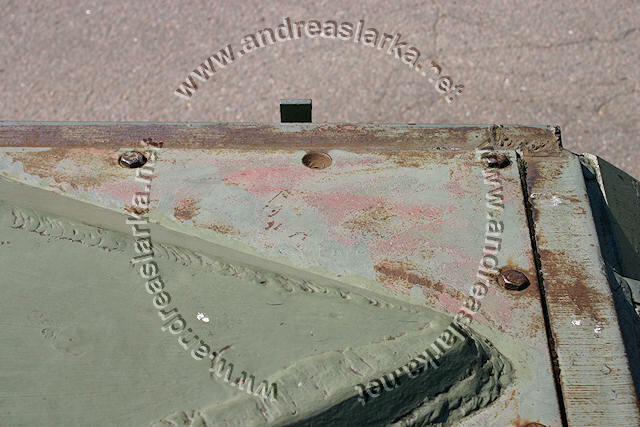 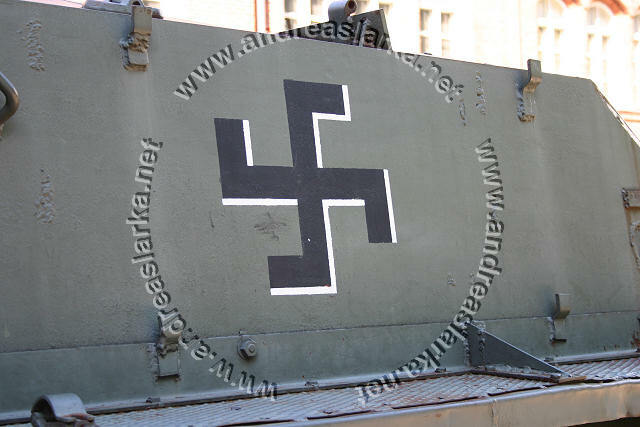 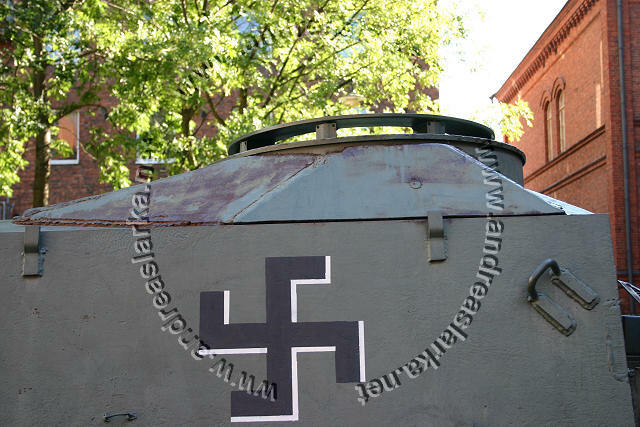 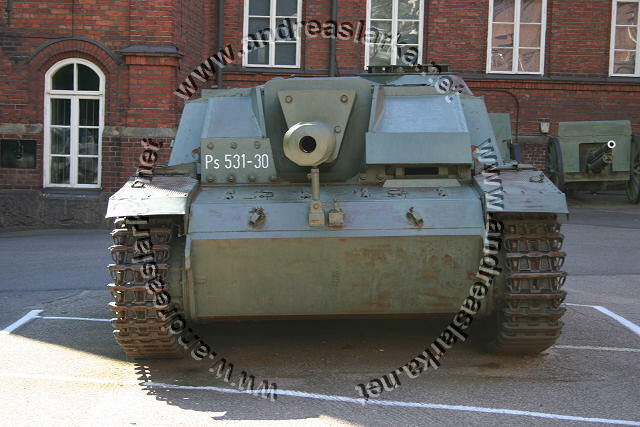 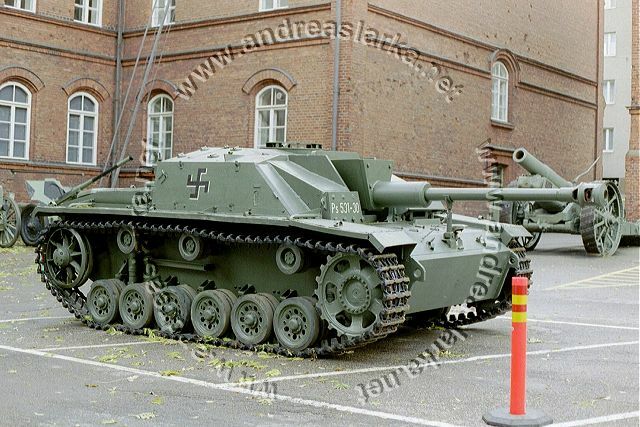 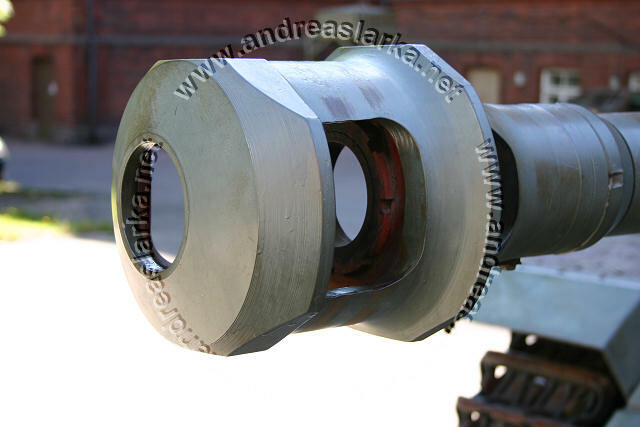 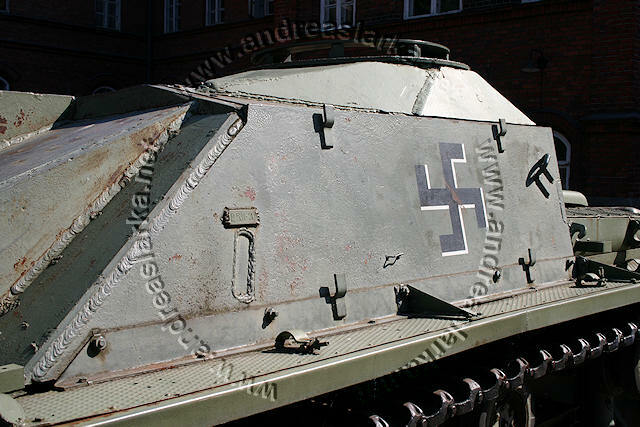 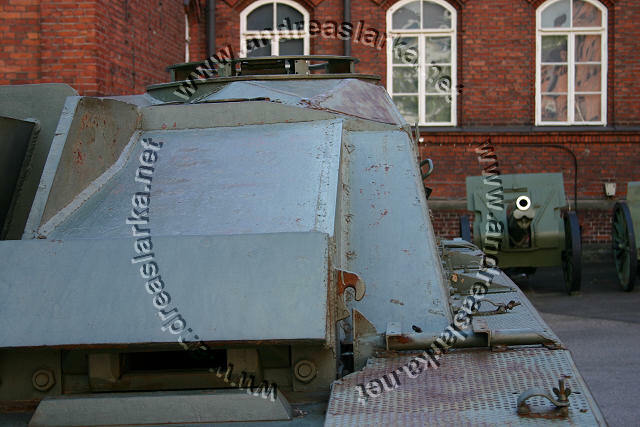 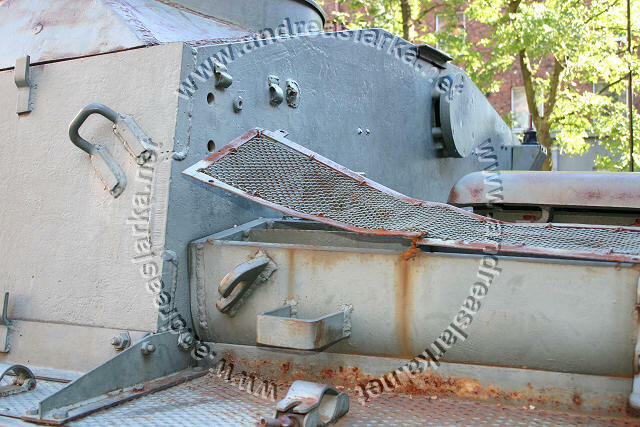 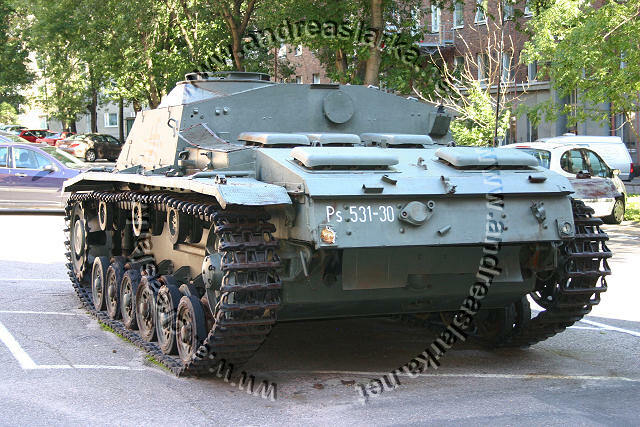 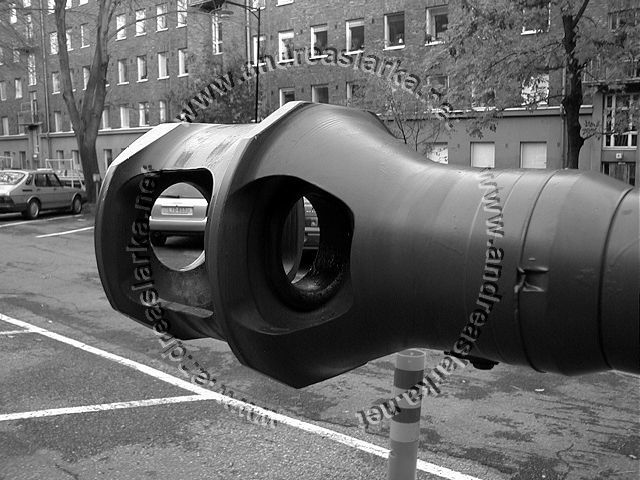 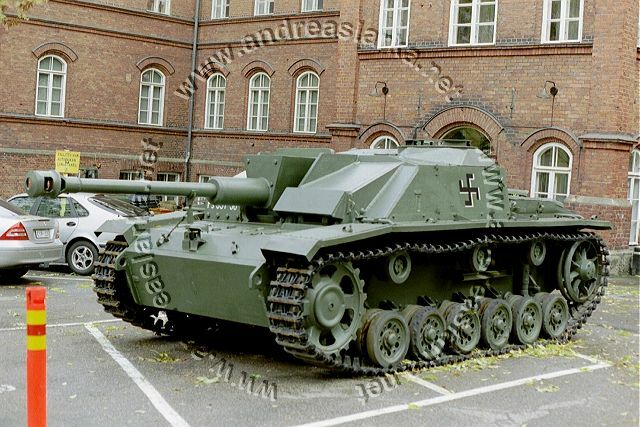 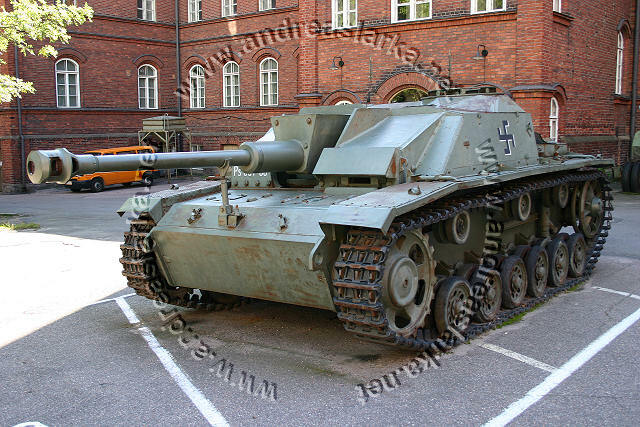 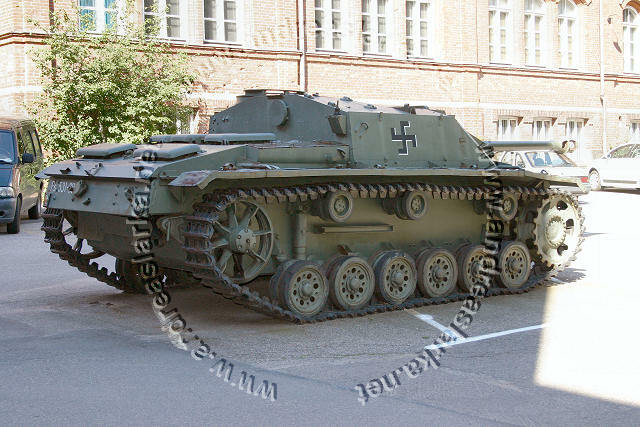 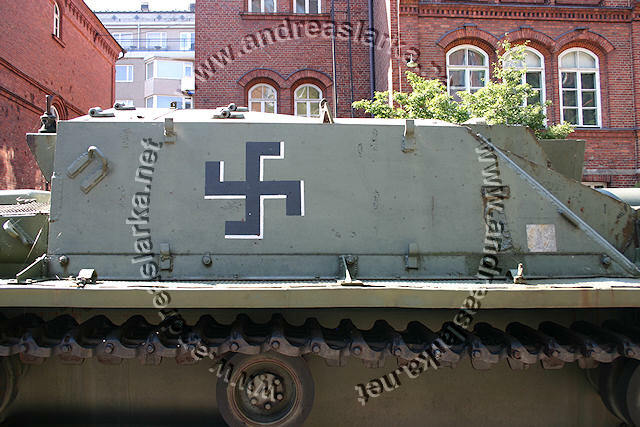 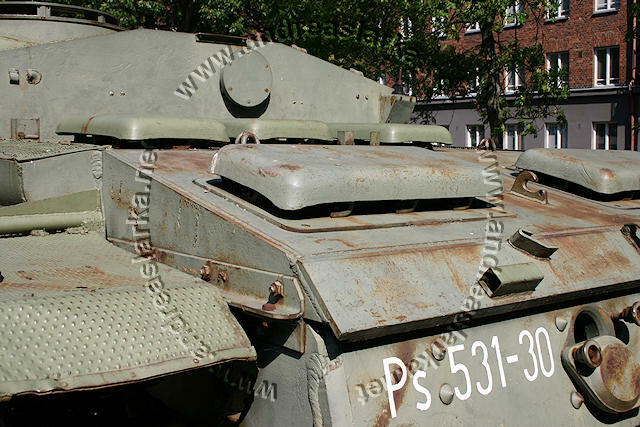 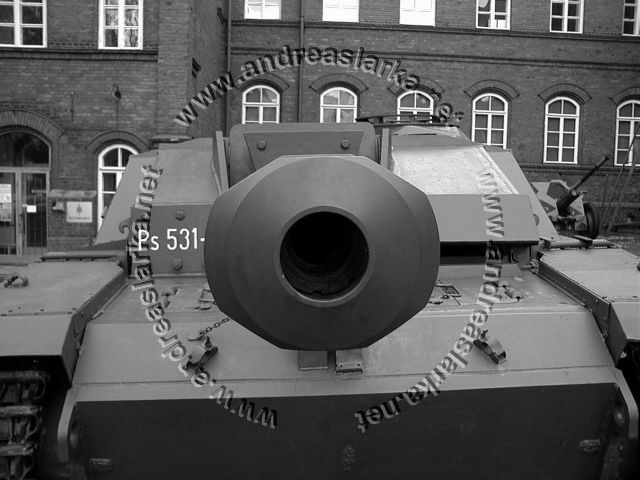 The first set of pictures are taken outside the Military Museum in Helsinki in August 2007. 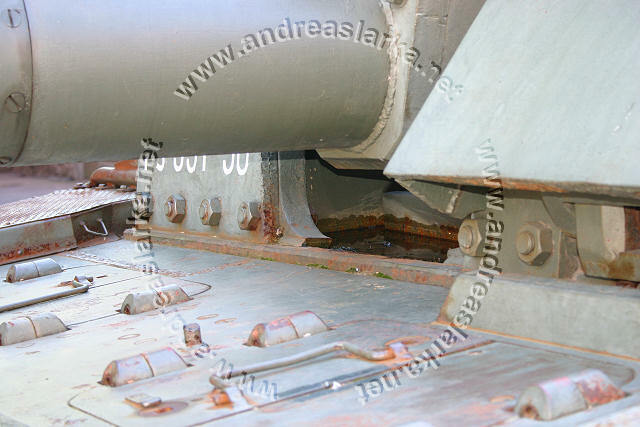 The second set are taken at the same place in 2001. 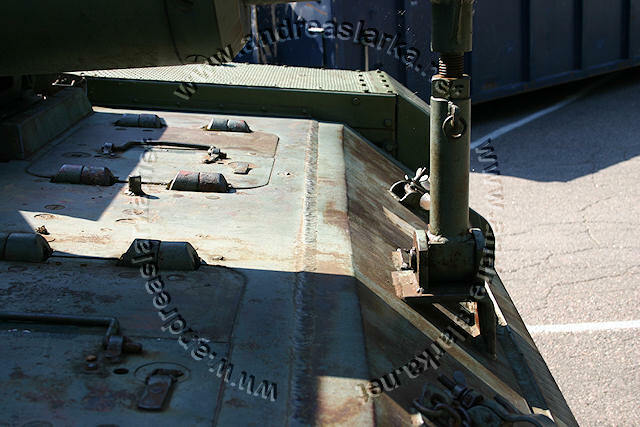 And the very last is a bunch of detail pics added in August 2014.